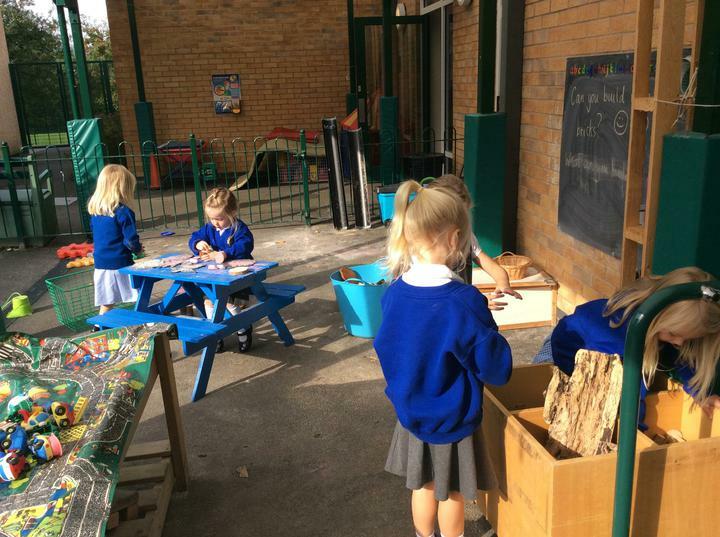 Mrs Hooper, Mrs Chapman and Mrs Orridge welcome you to Reception. 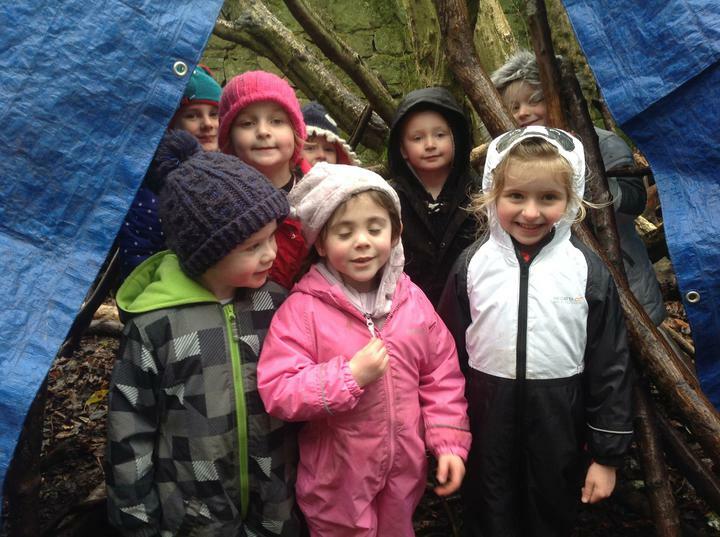 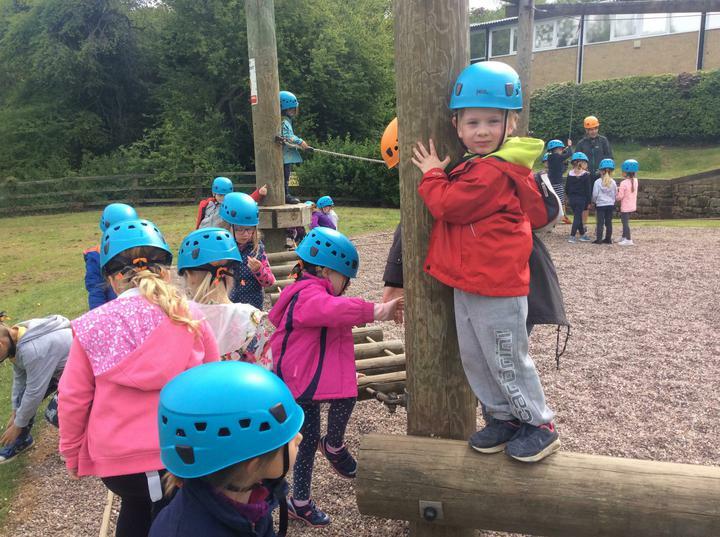 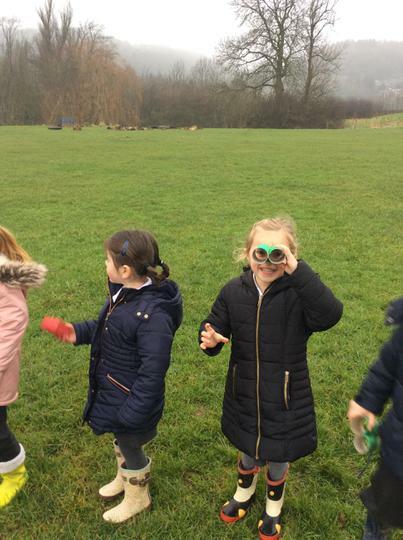 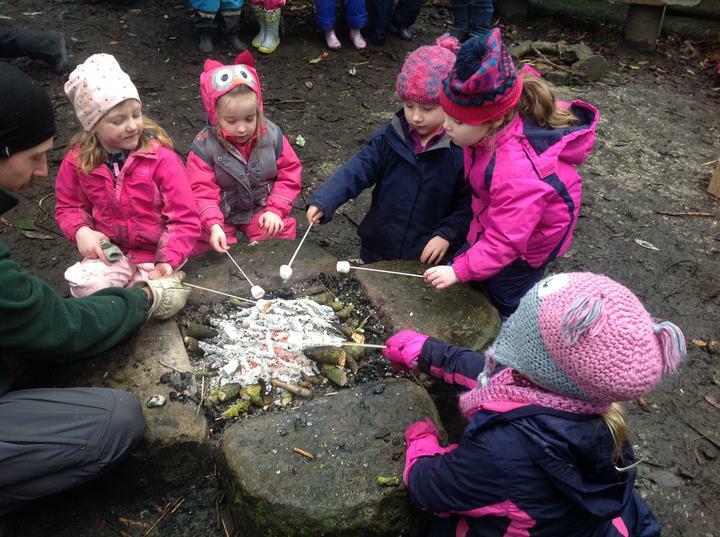 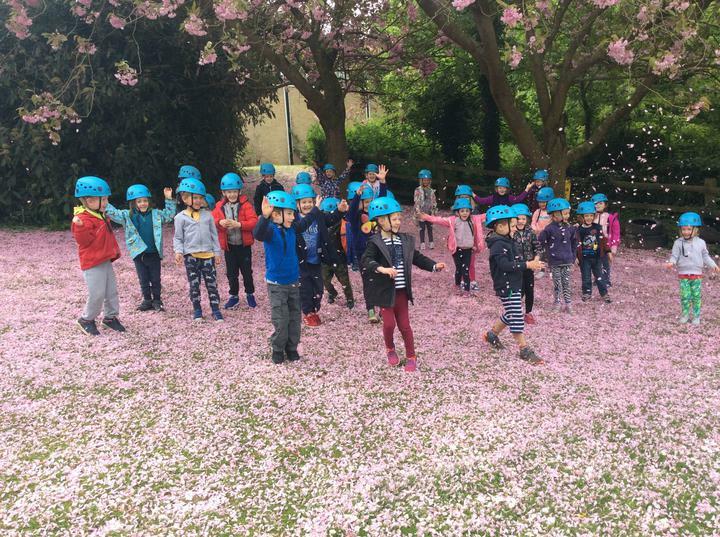 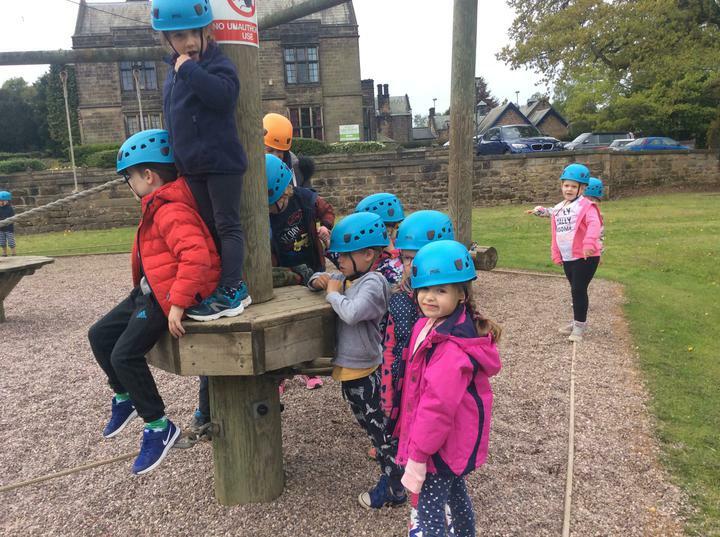 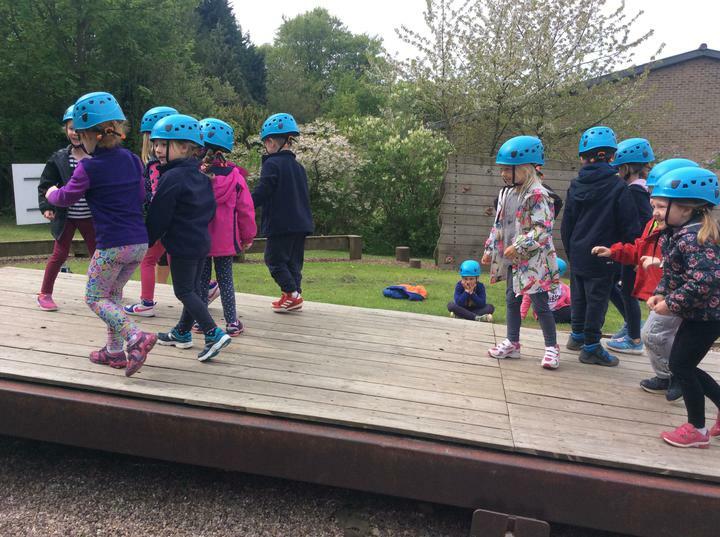 We have lots of exciting adventures to enjoy over the year. 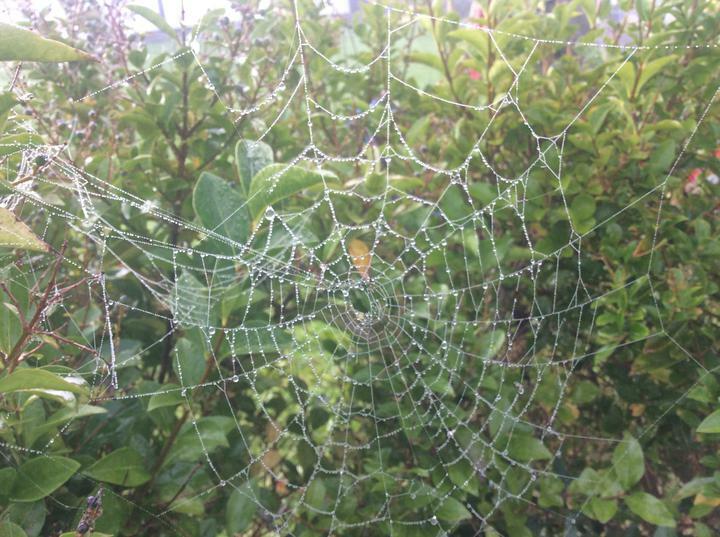 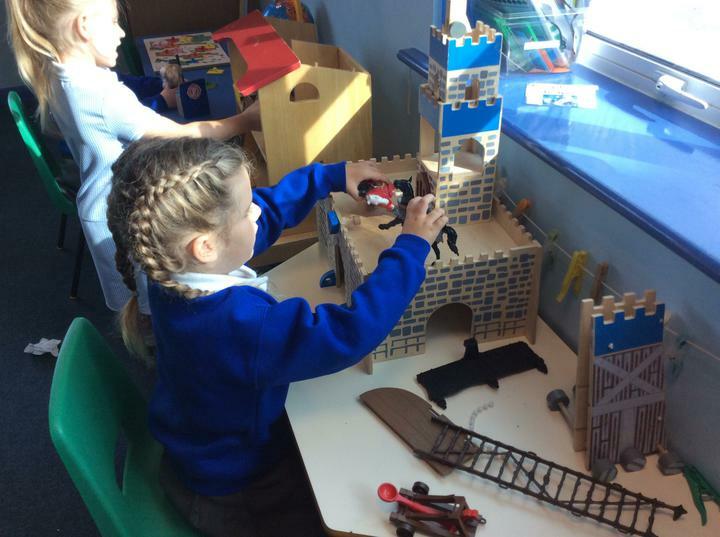 Please follow our learning journey. 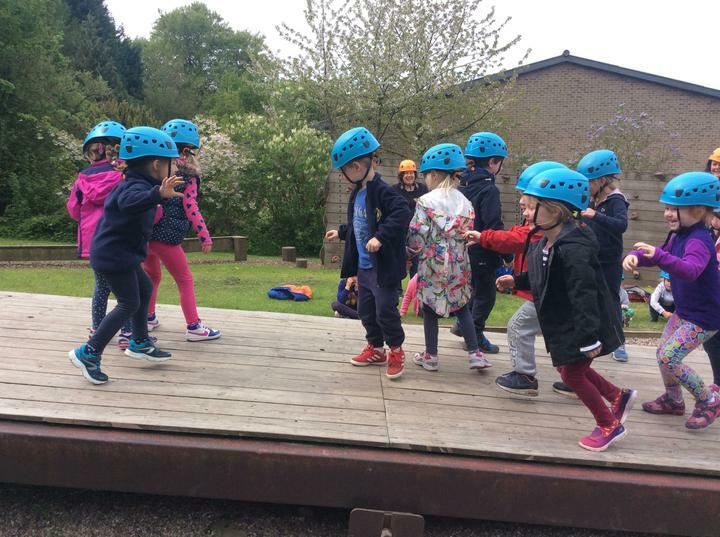 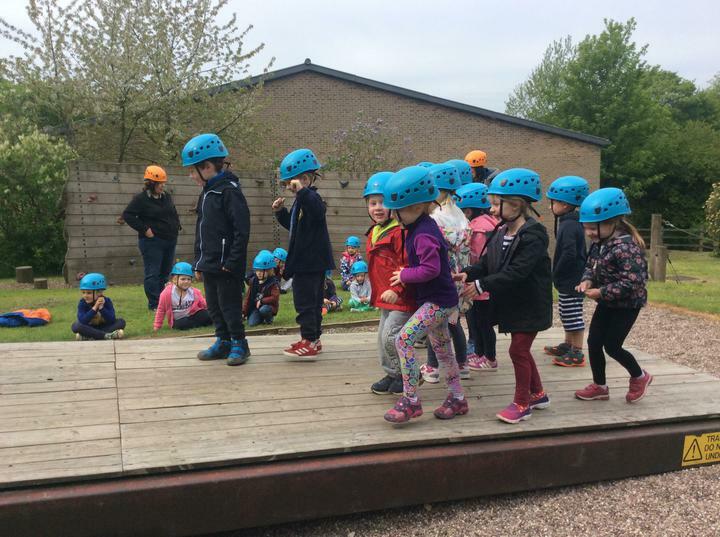 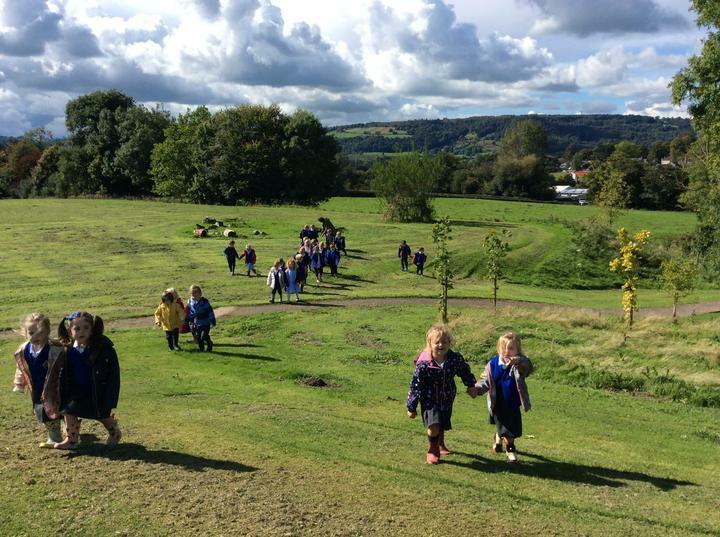 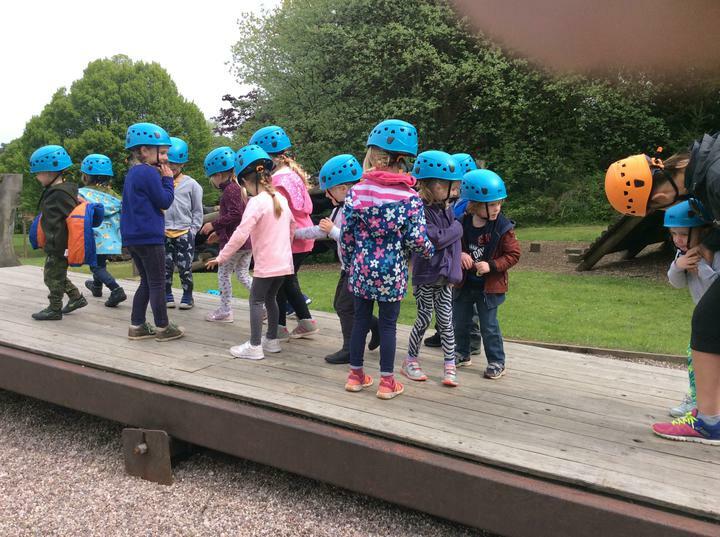 We had a fantastic day at Lea Green! 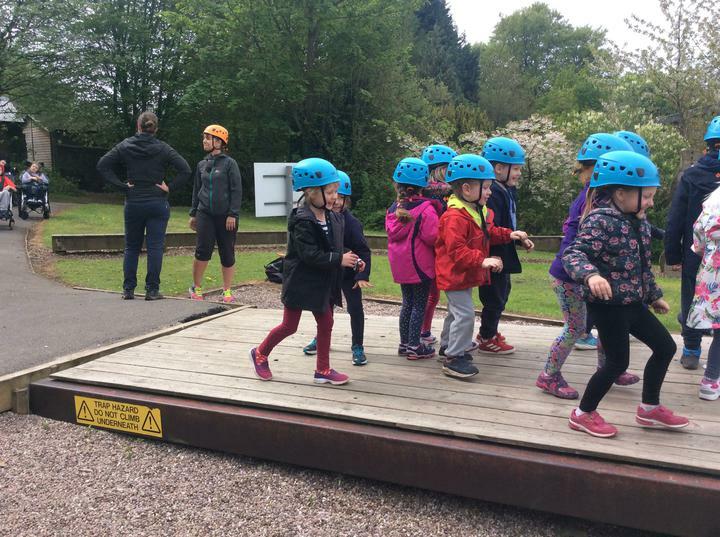 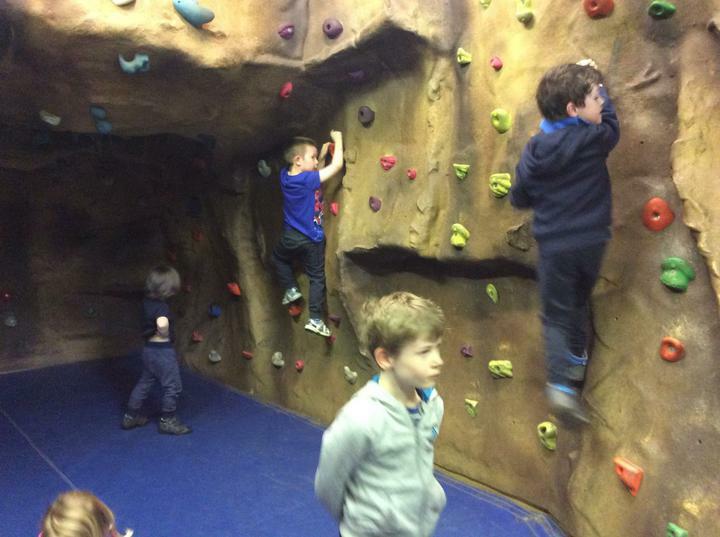 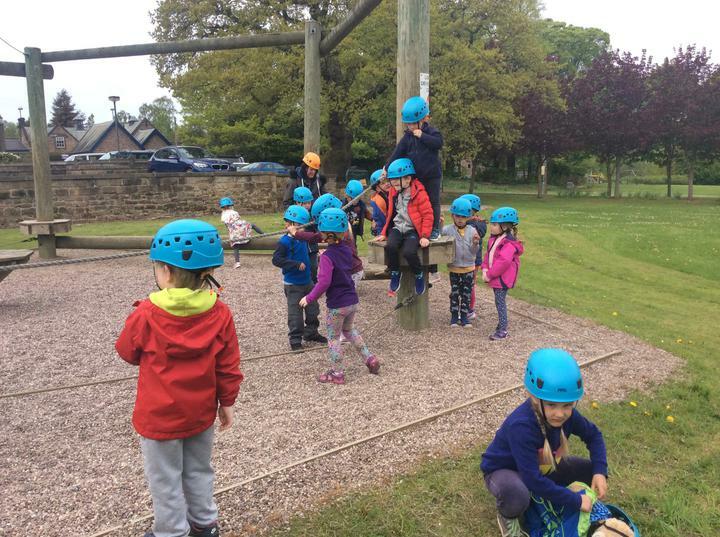 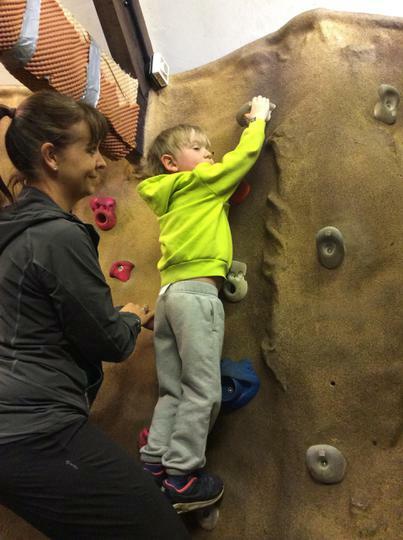 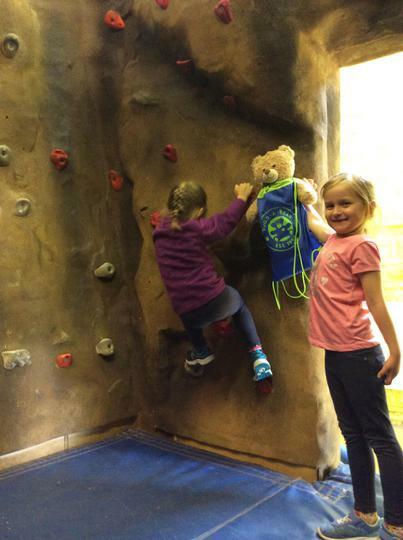 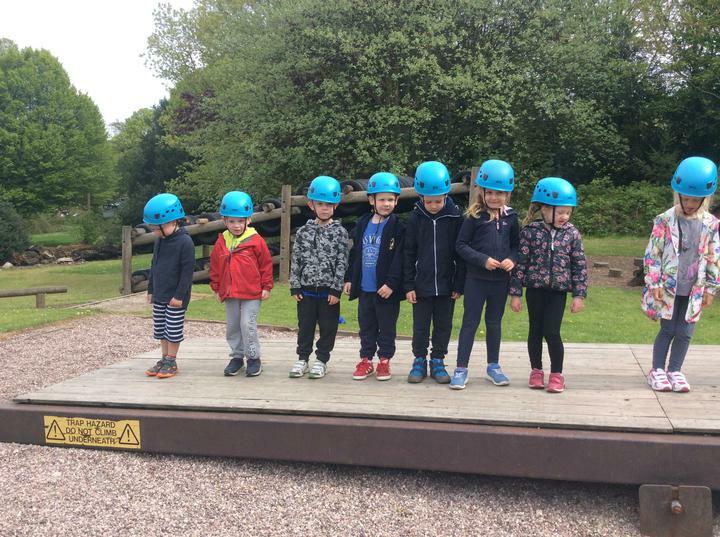 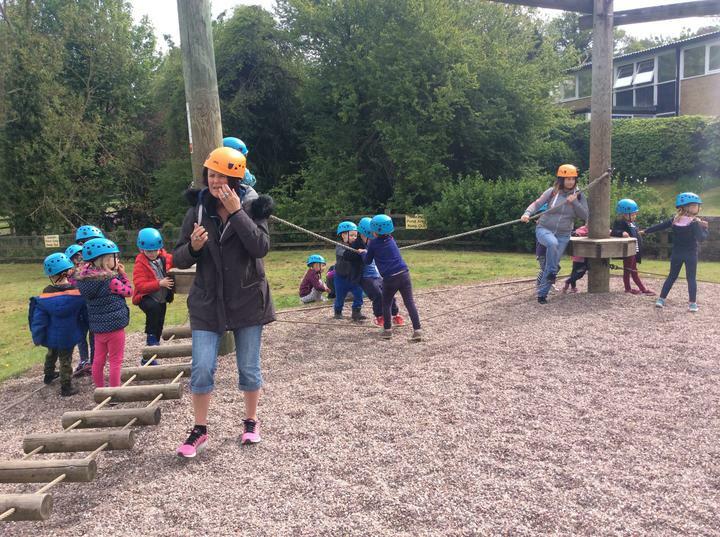 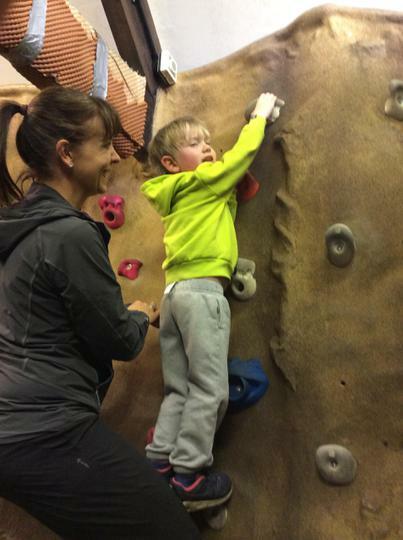 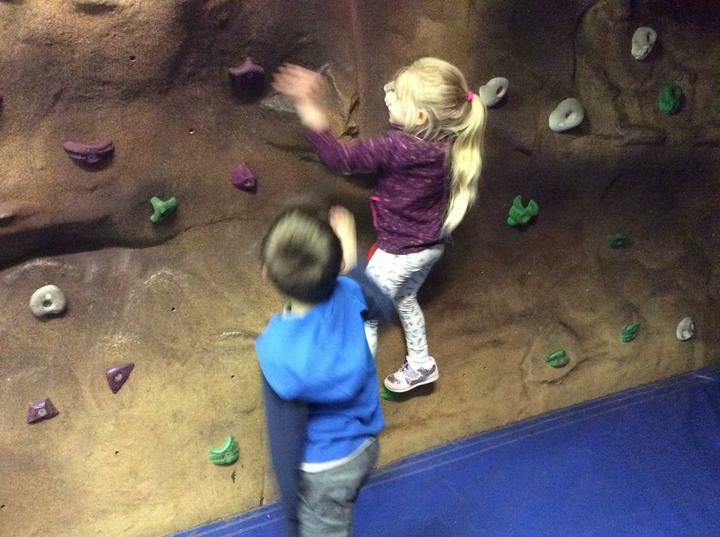 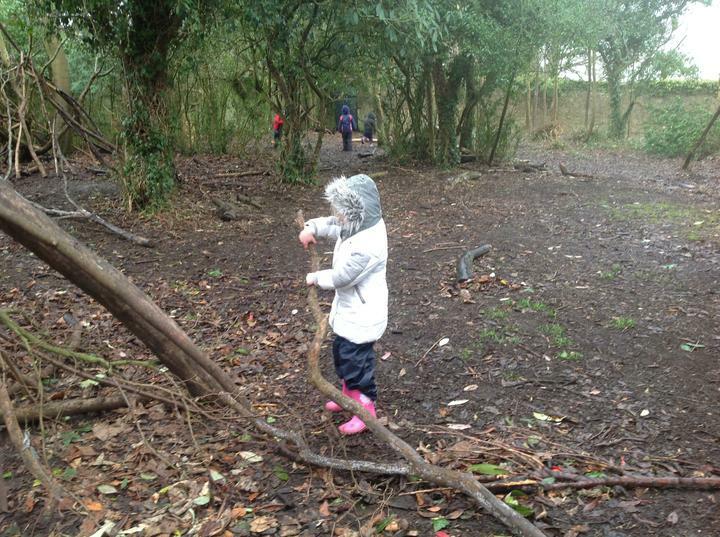 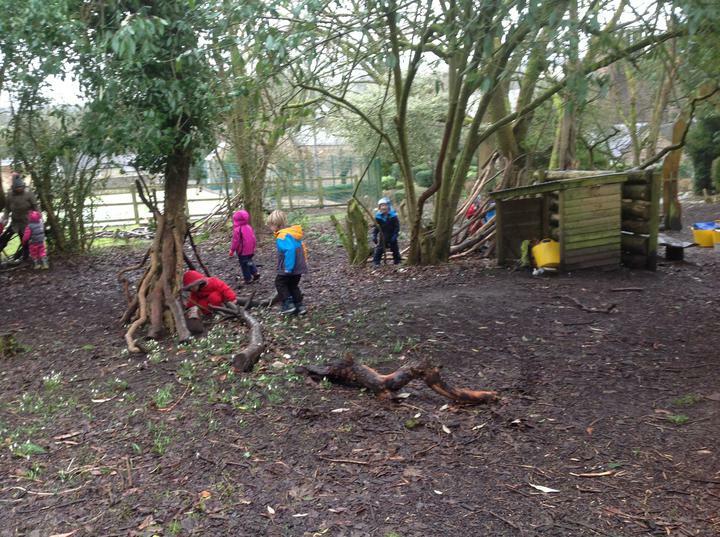 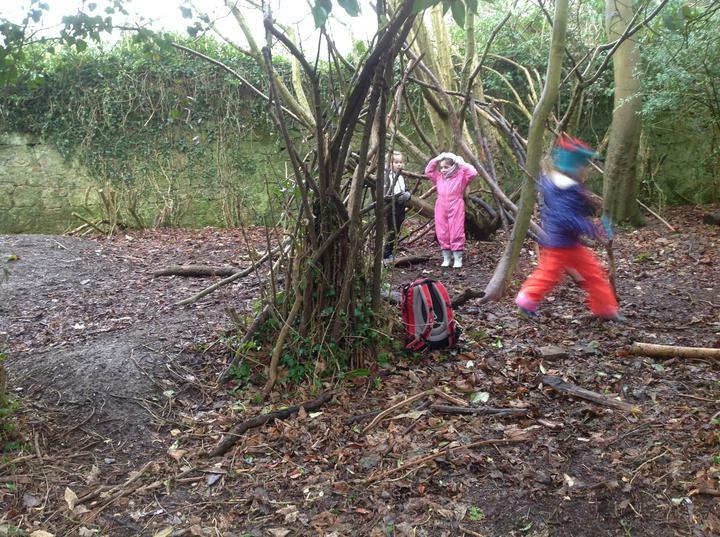 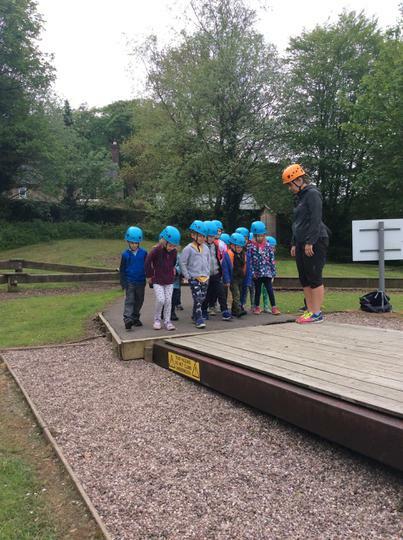 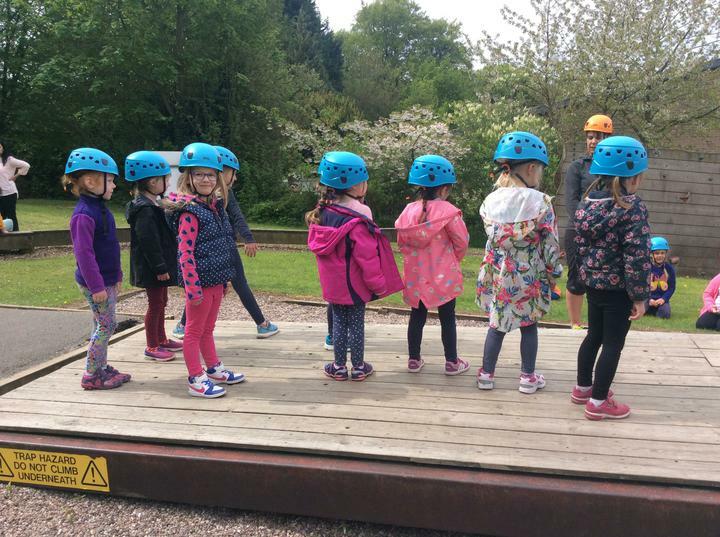 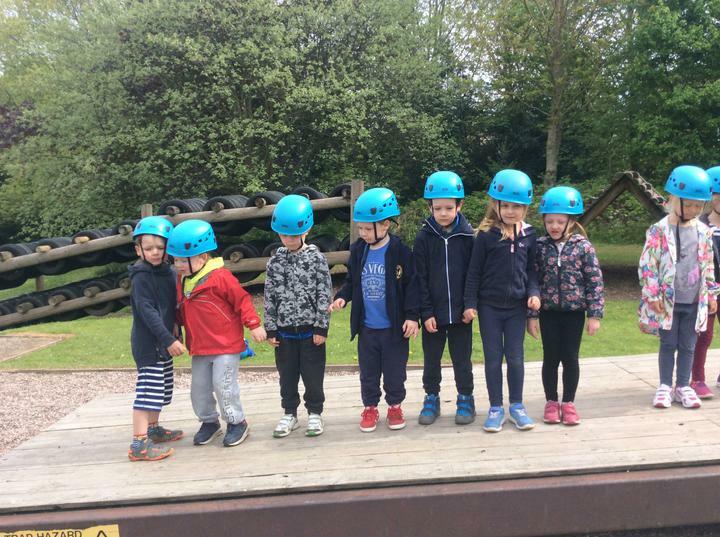 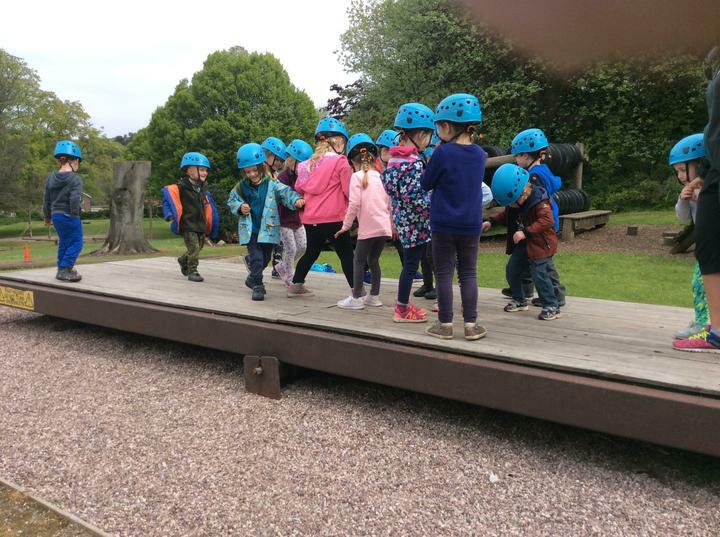 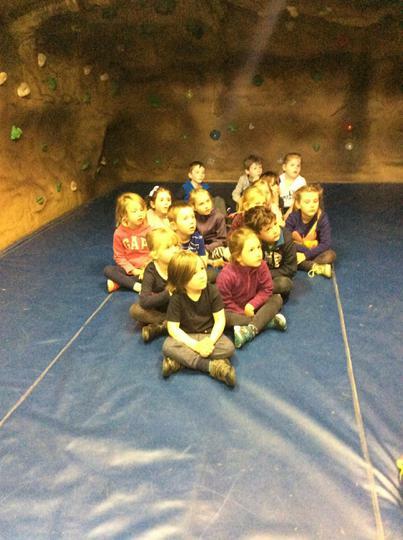 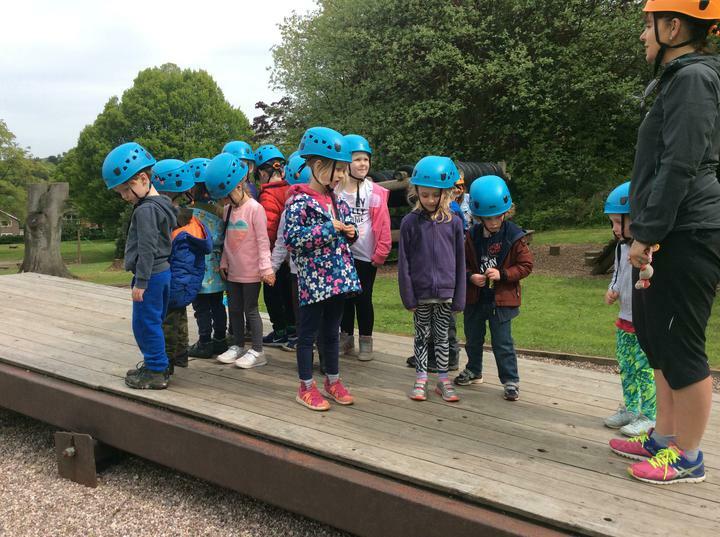 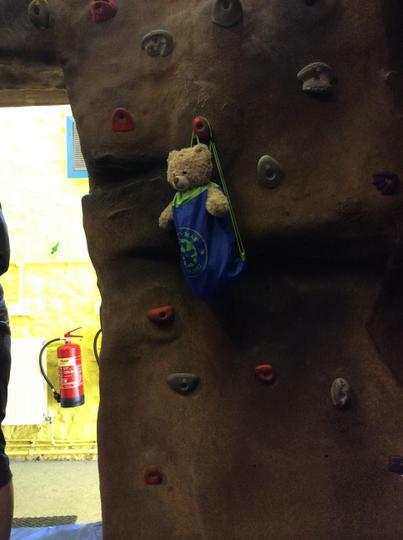 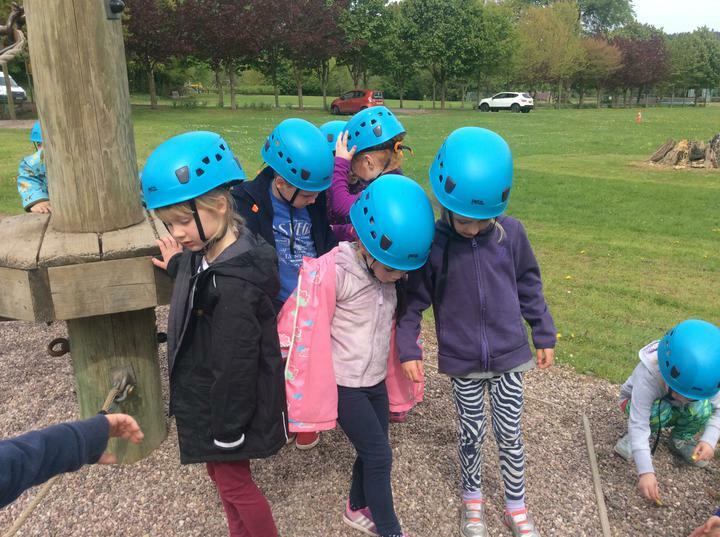 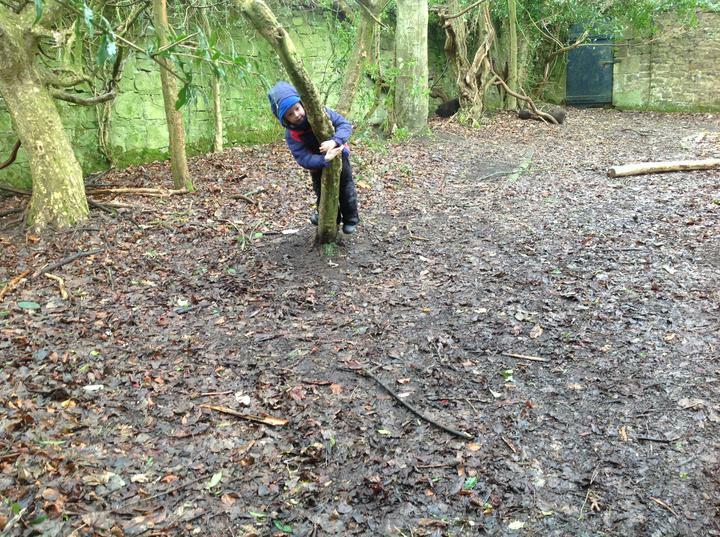 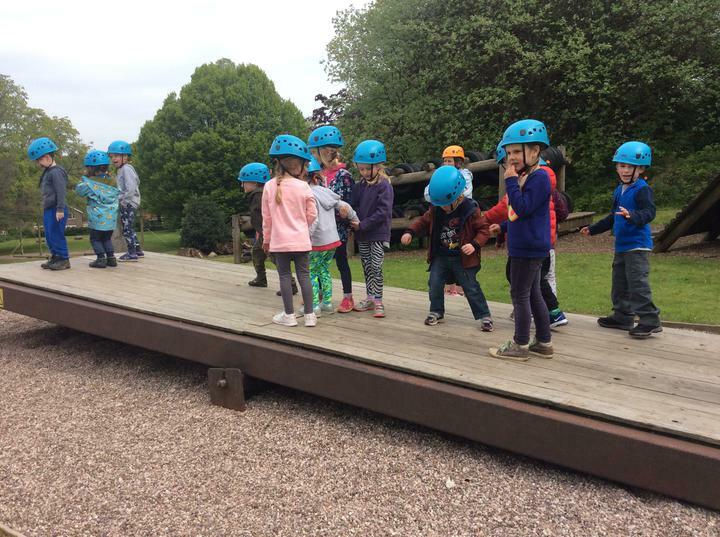 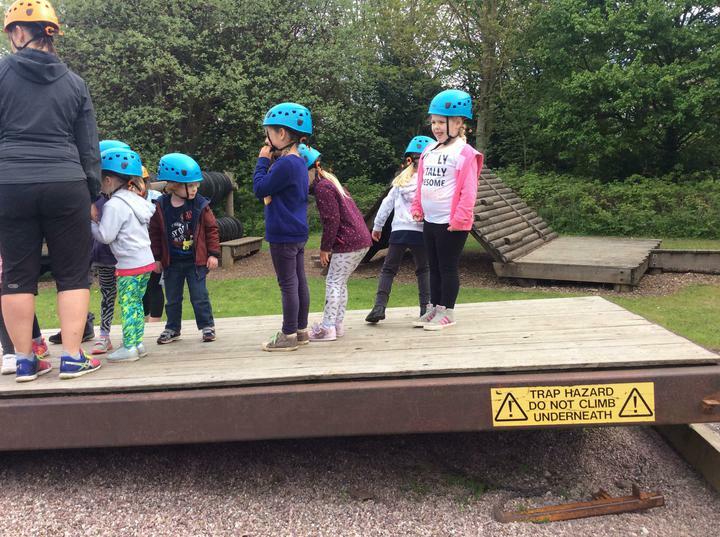 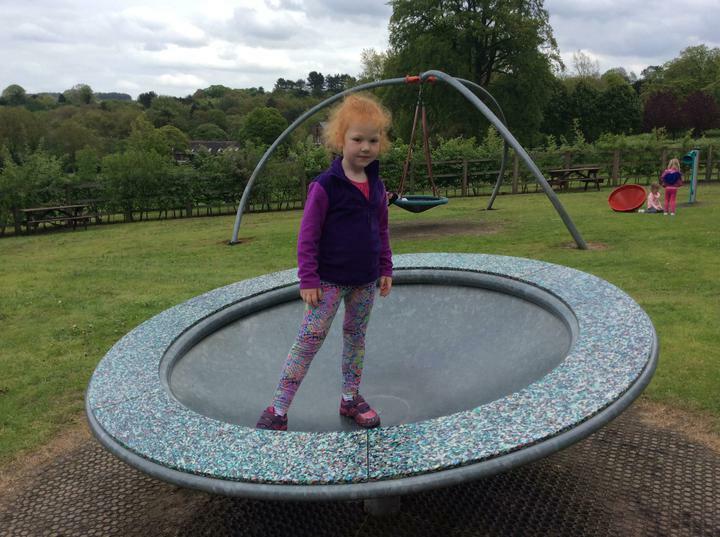 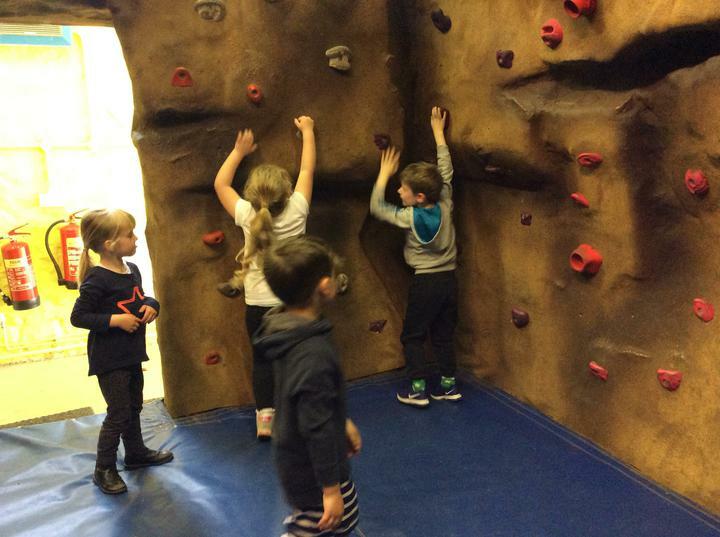 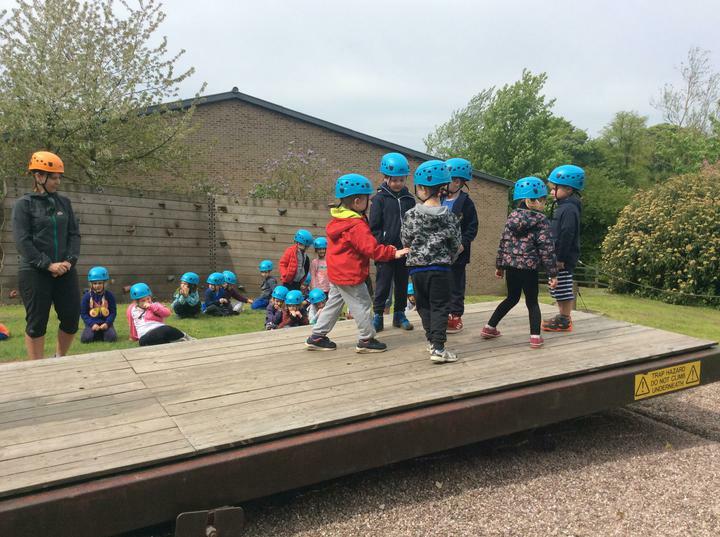 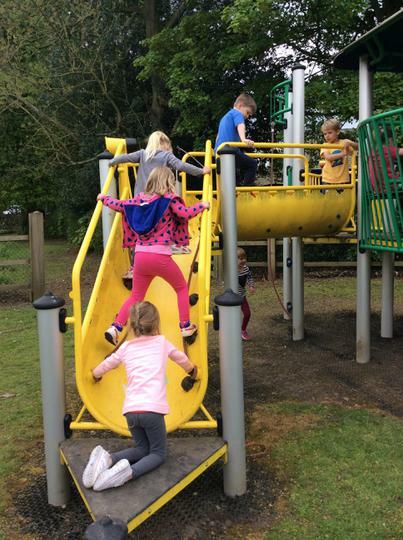 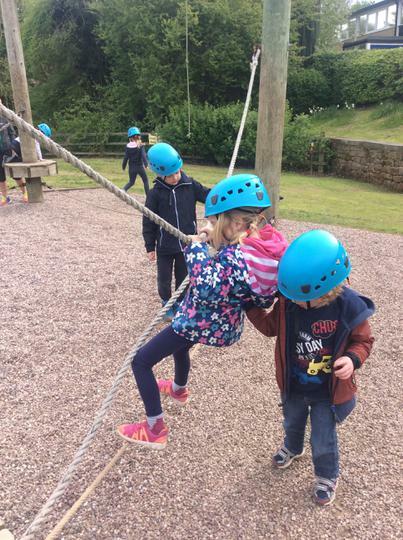 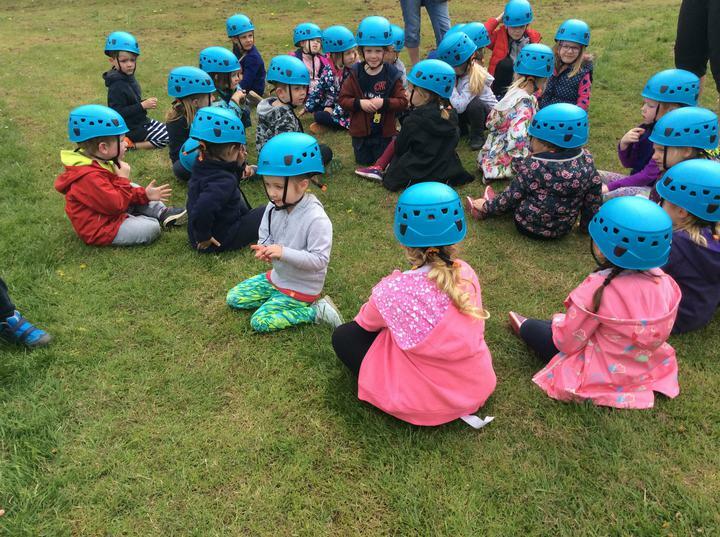 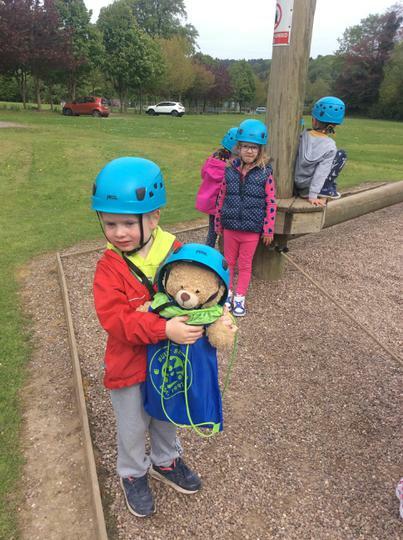 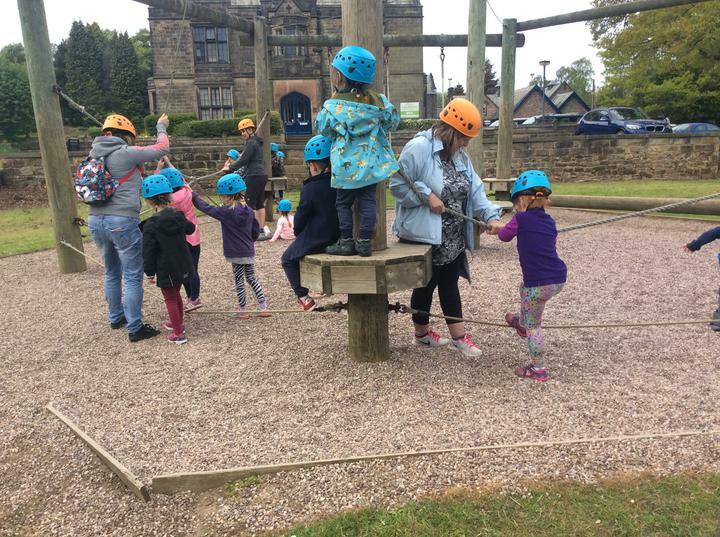 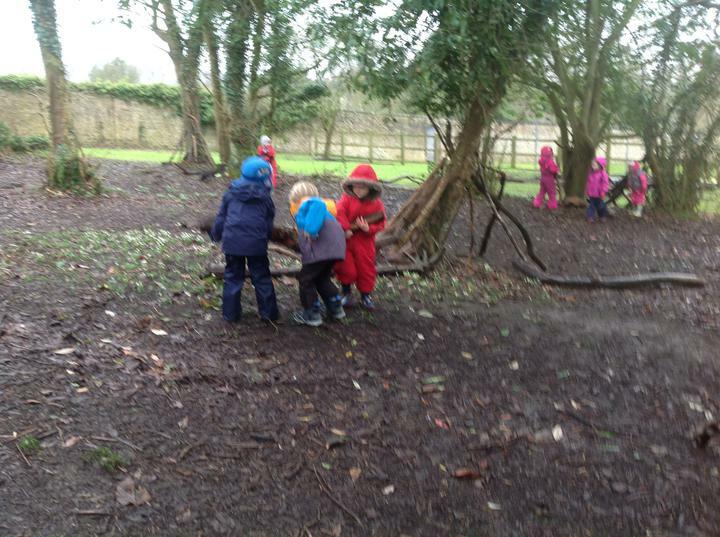 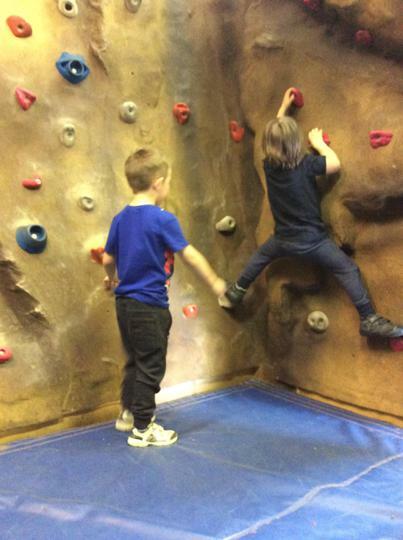 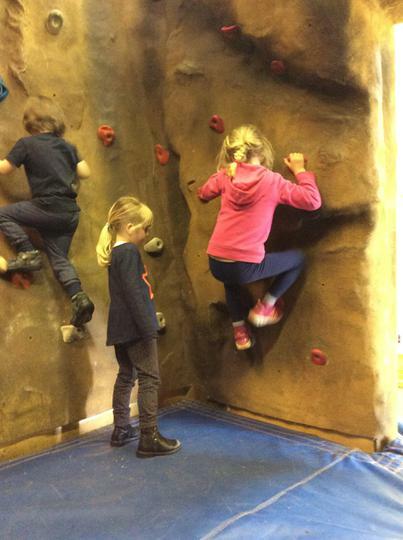 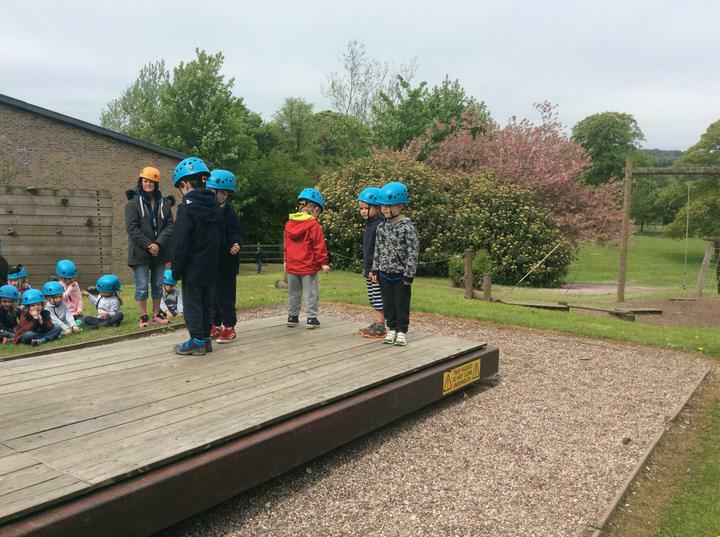 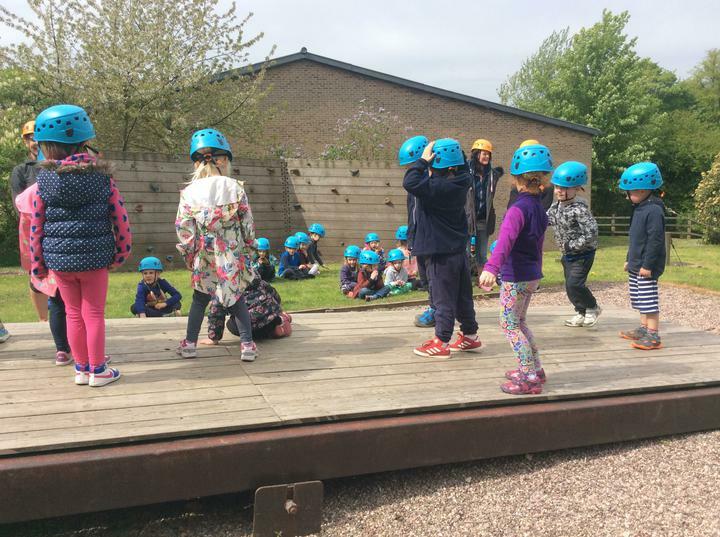 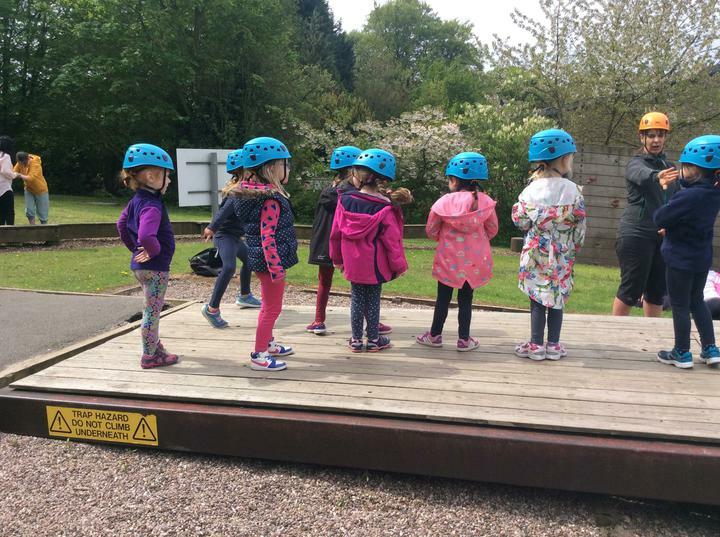 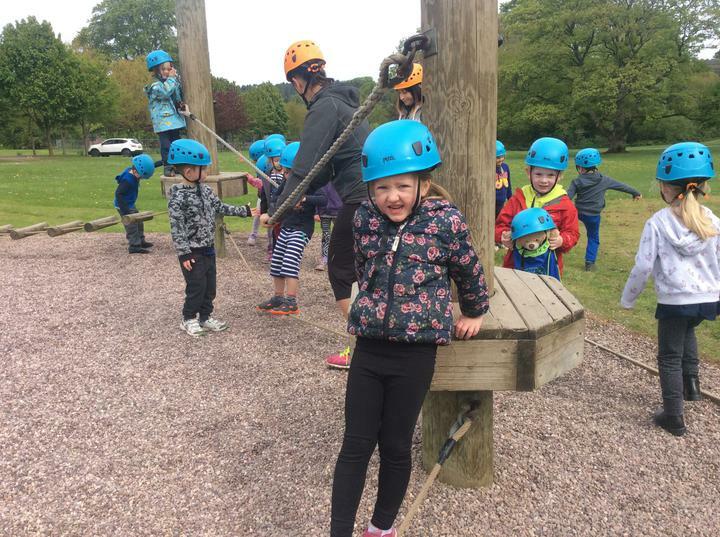 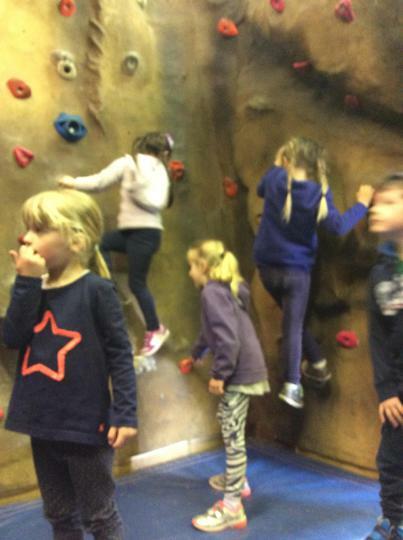 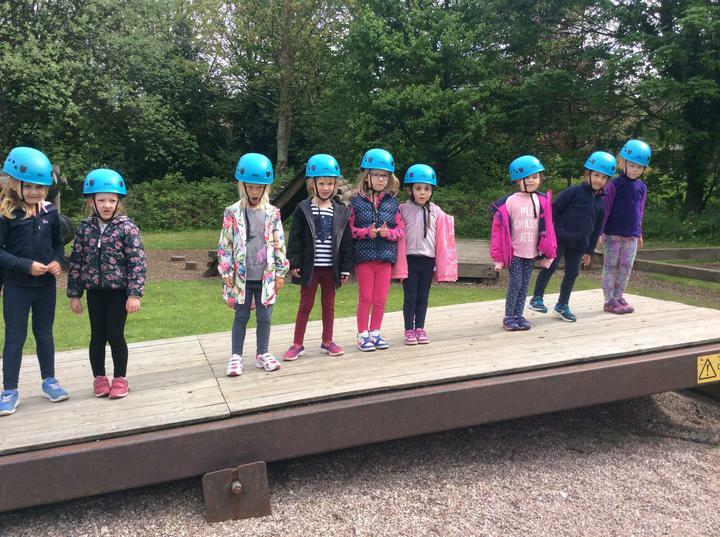 We completed the obstacle course, tried to balance the huge see saw, climbed in the cave and played on the park. 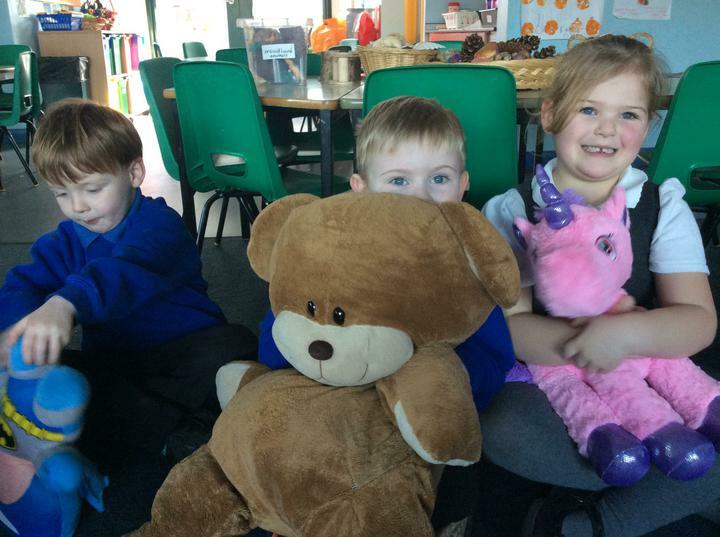 The Reception class had a special delivery of 3 large eggs. 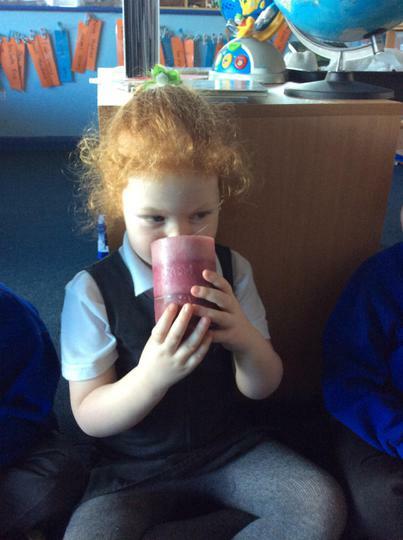 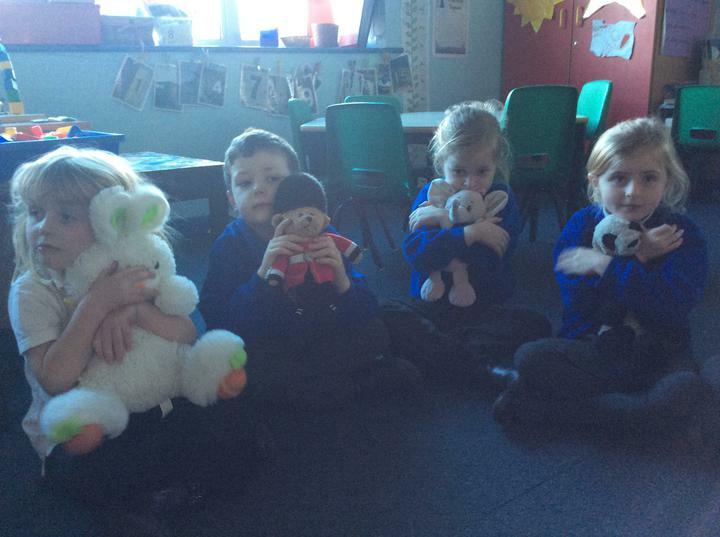 We are looking after them carefully and finding out about what animals might be inside. 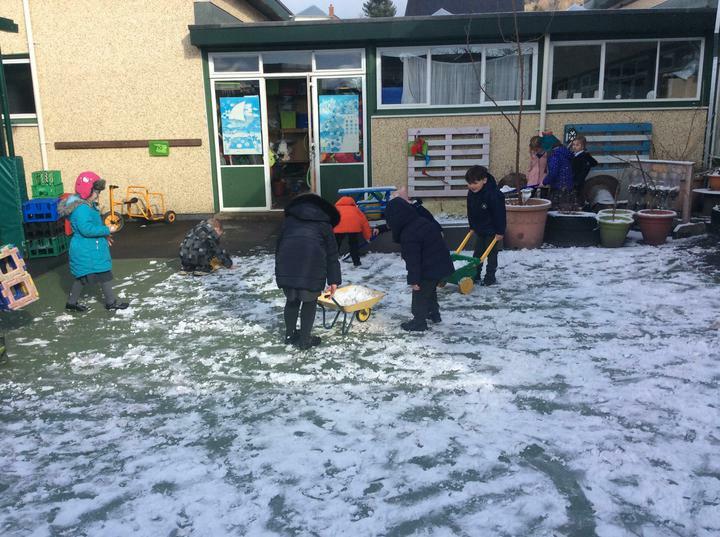 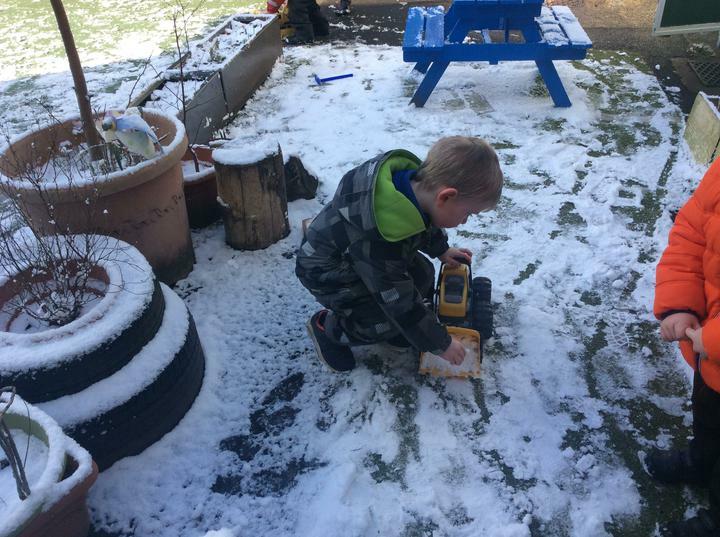 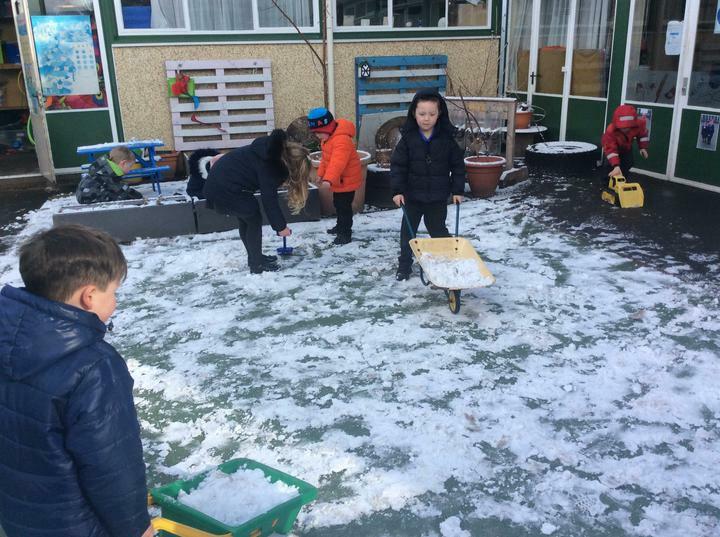 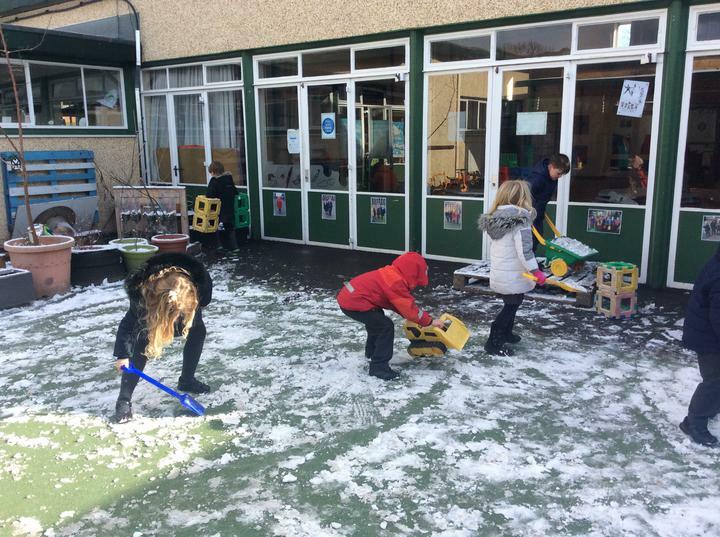 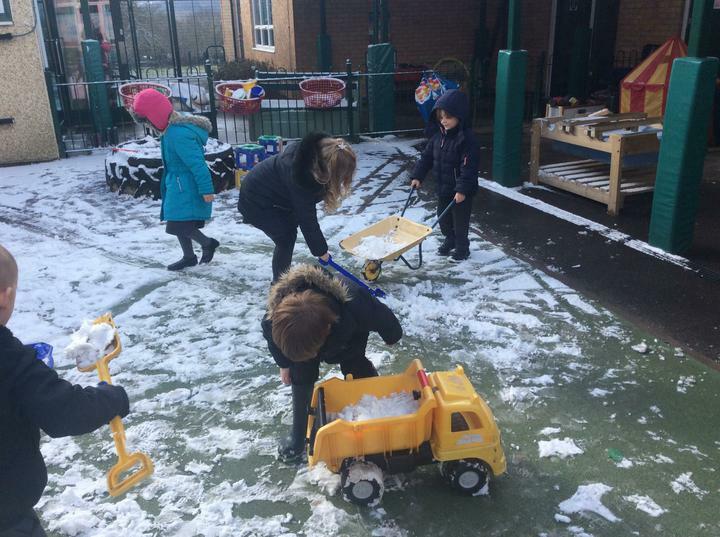 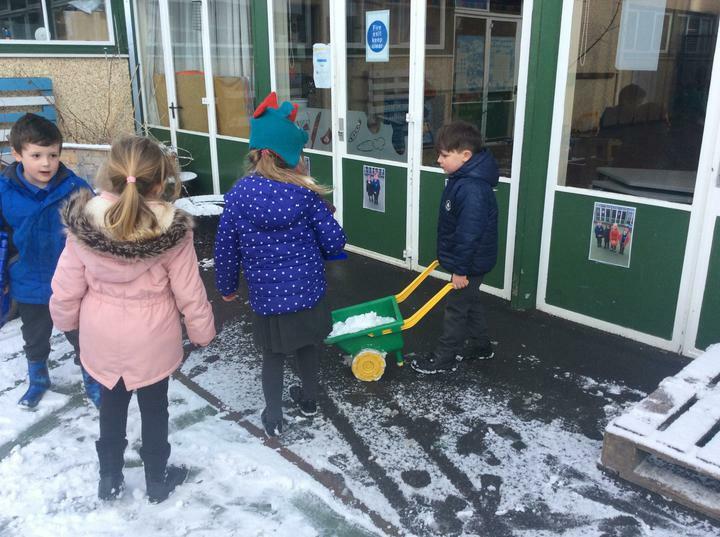 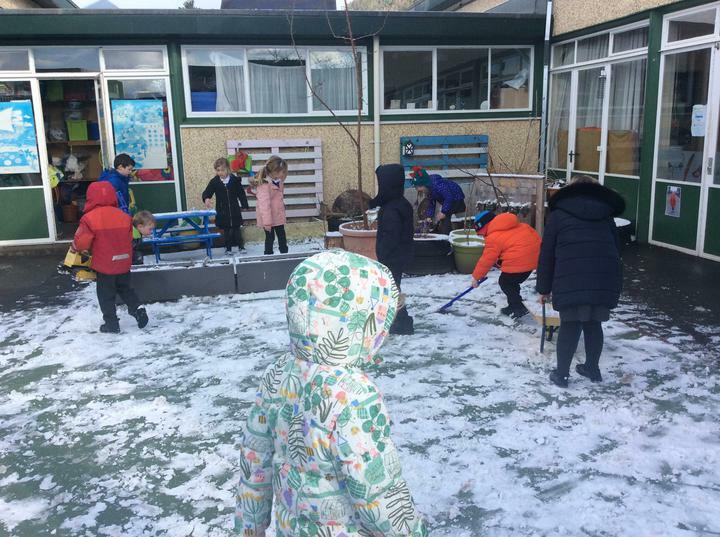 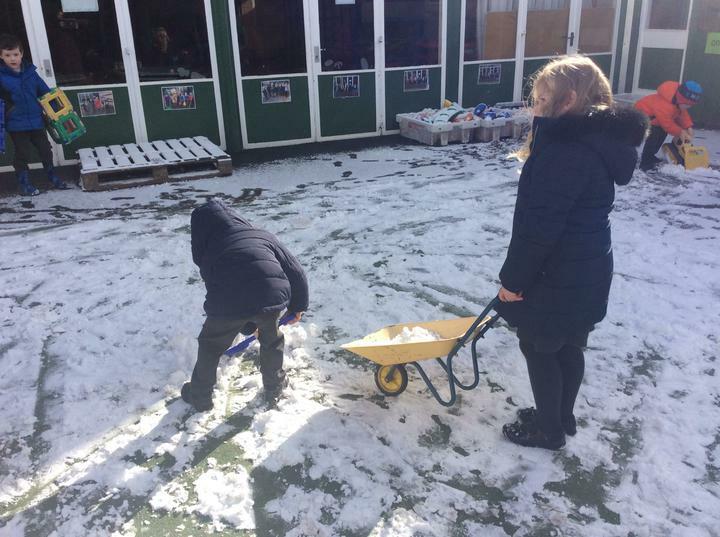 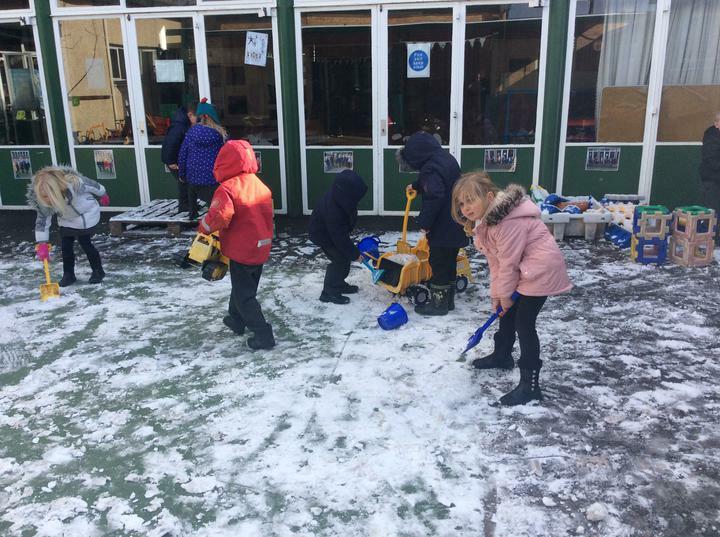 We had great fun digging in the snow! 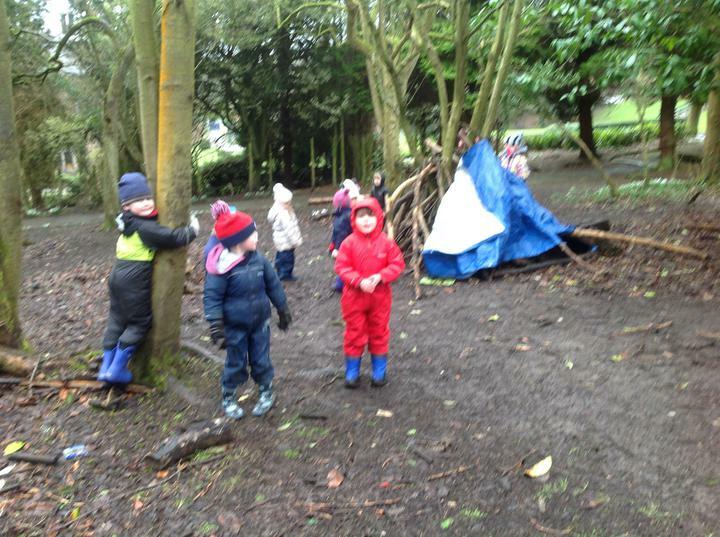 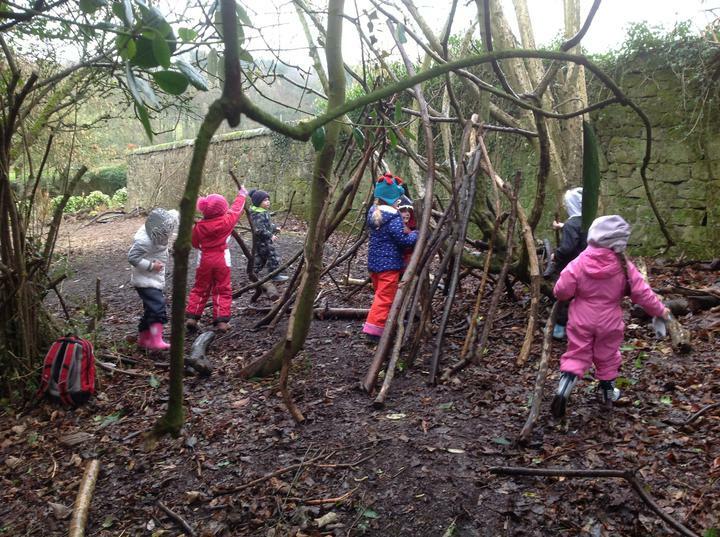 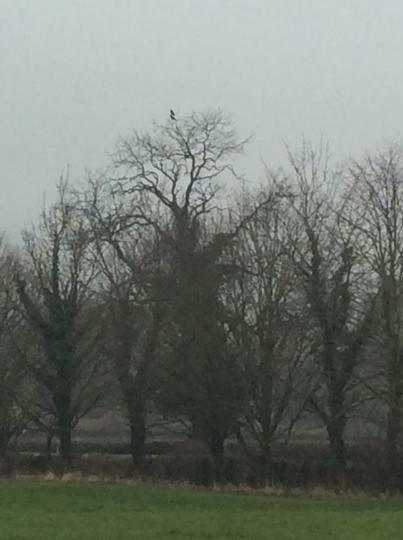 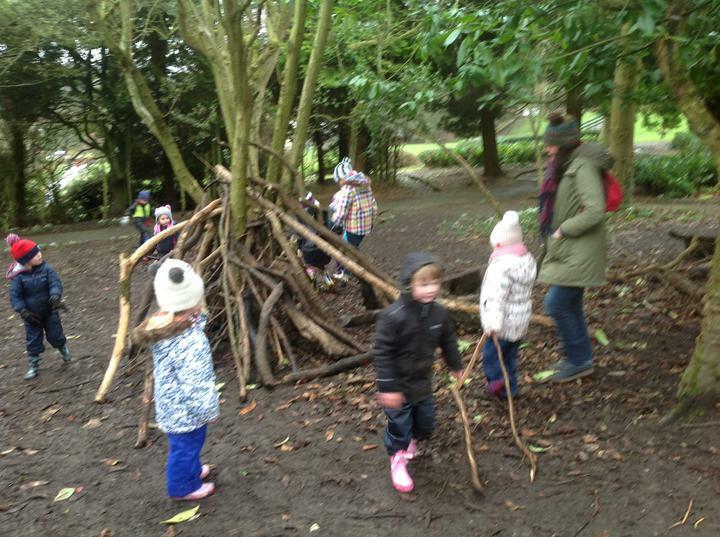 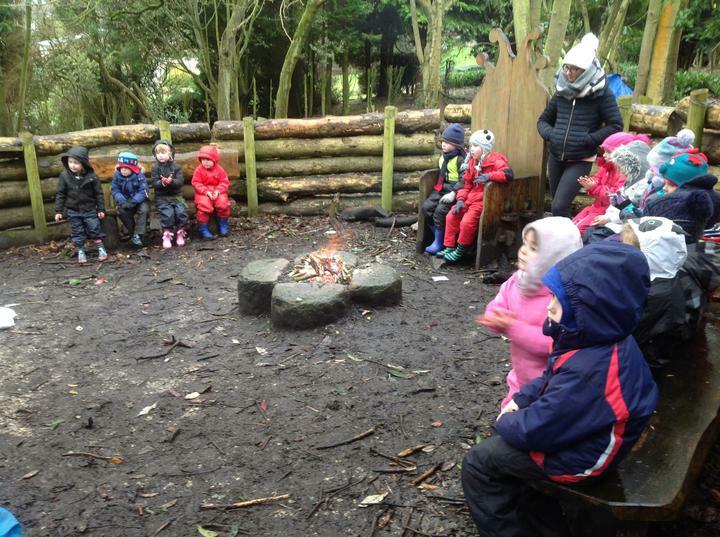 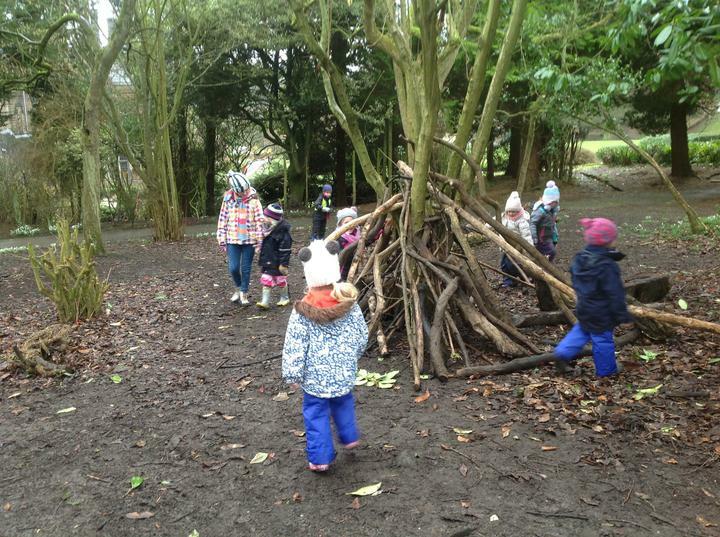 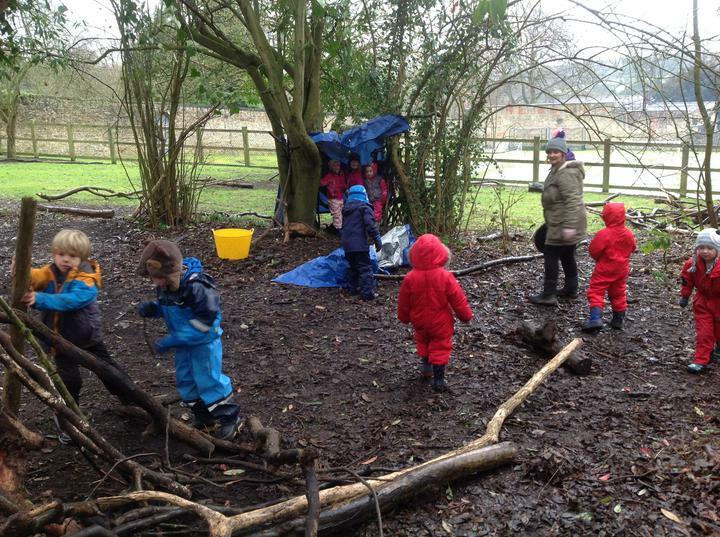 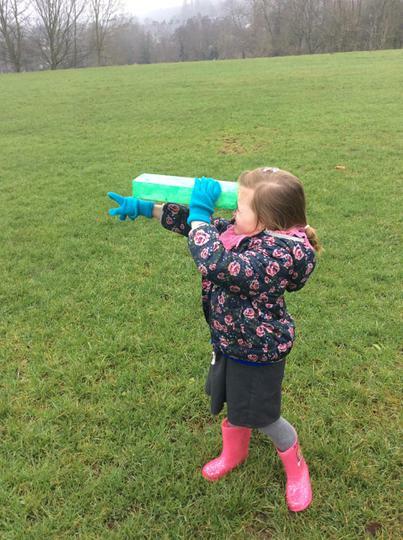 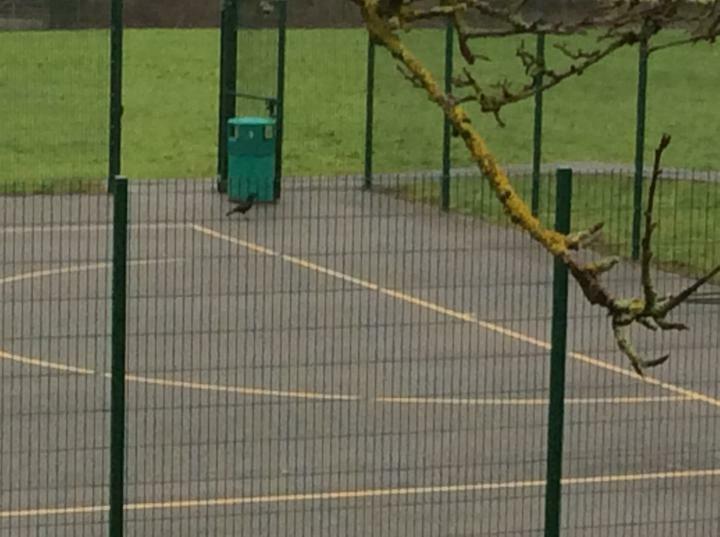 A cold and wet trip to Lea Green but we still had fun. 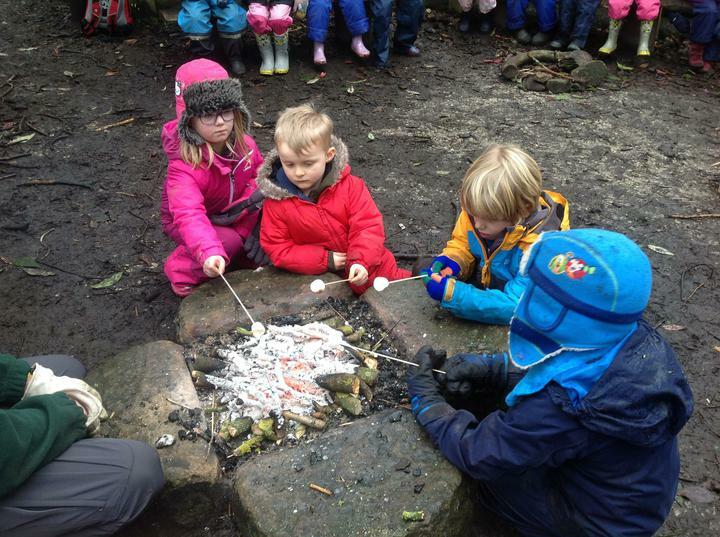 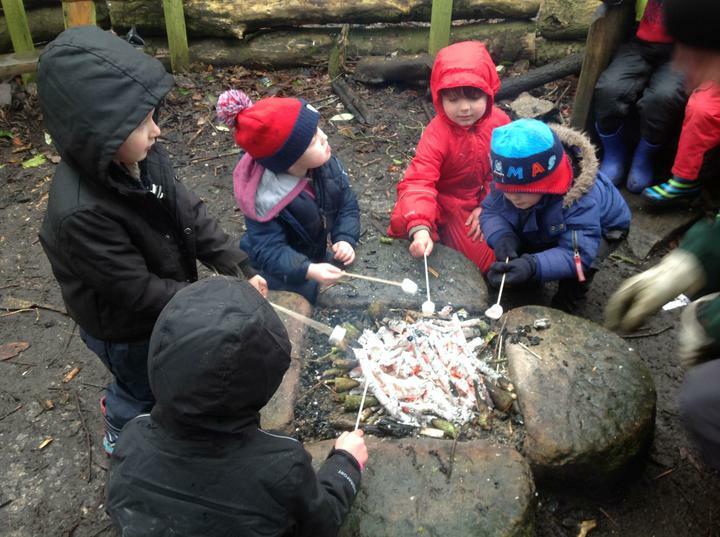 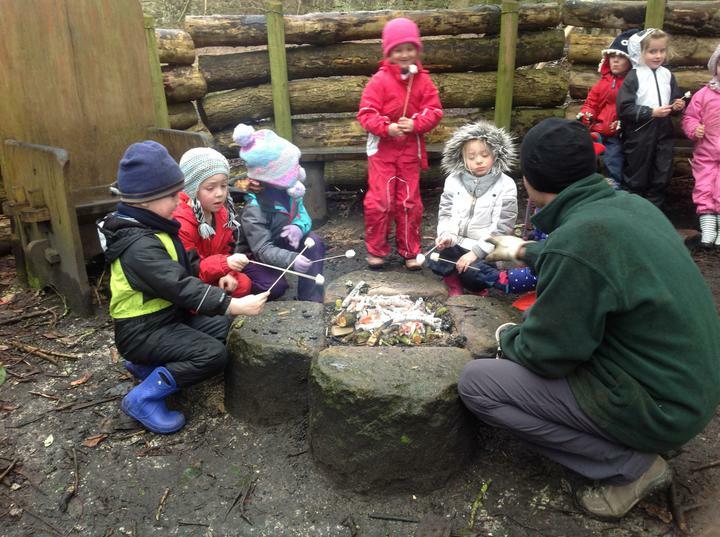 Mrs Hooper liked the marshmallows! 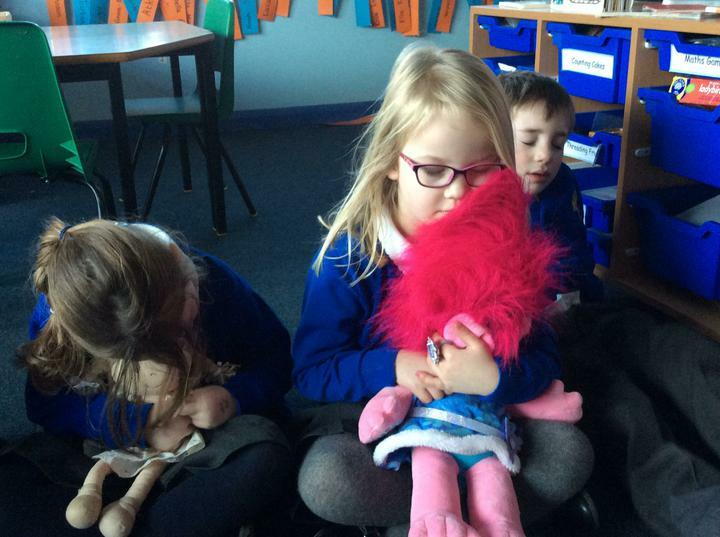 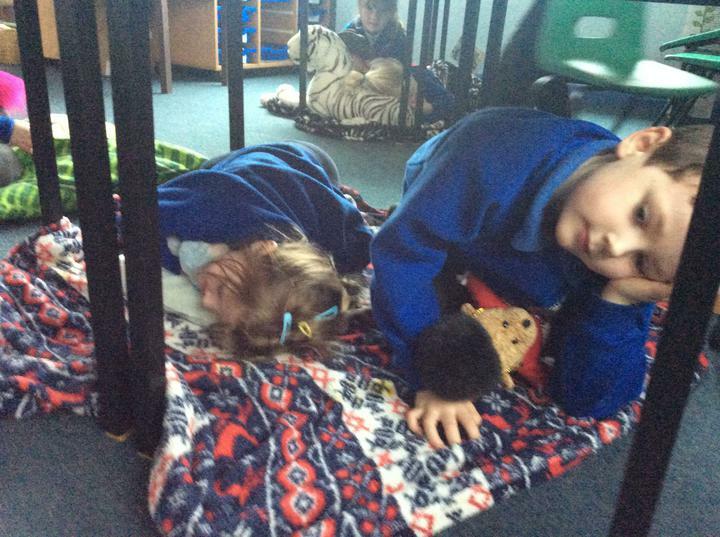 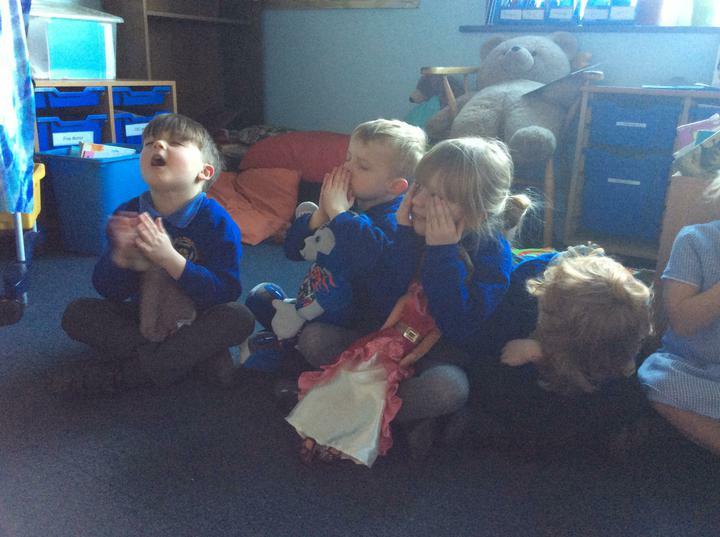 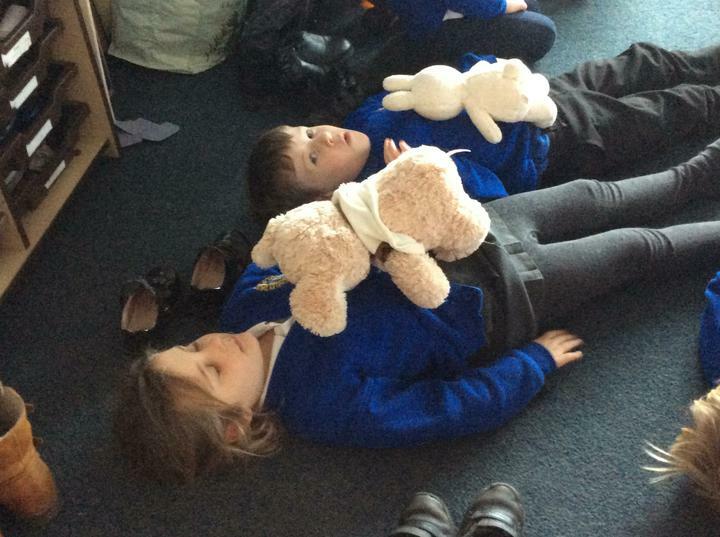 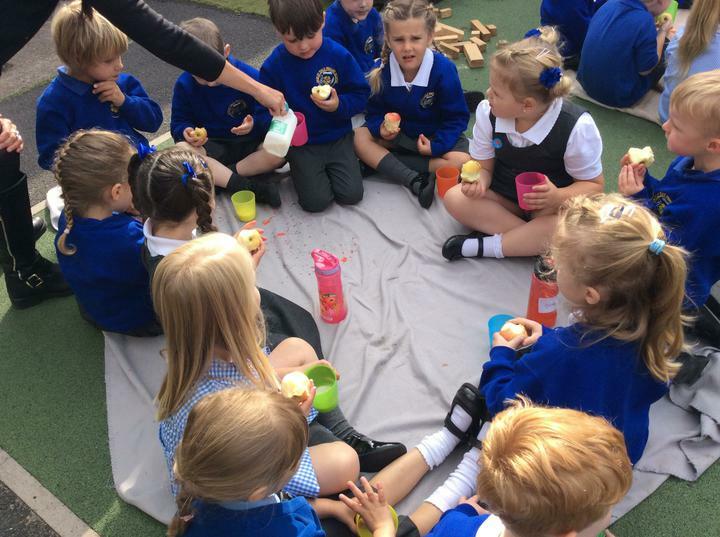 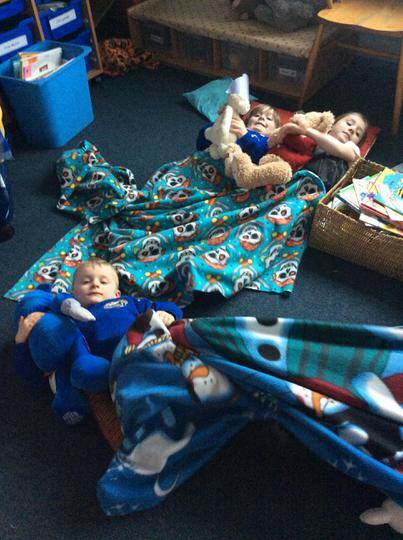 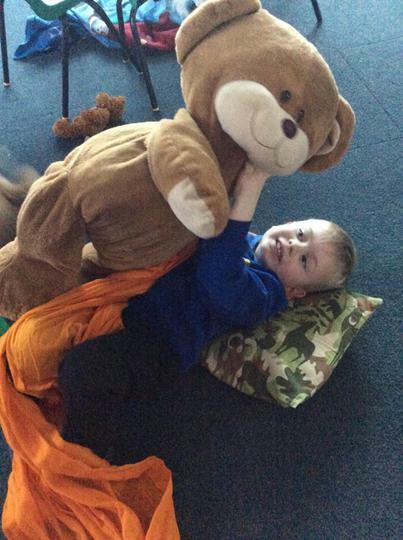 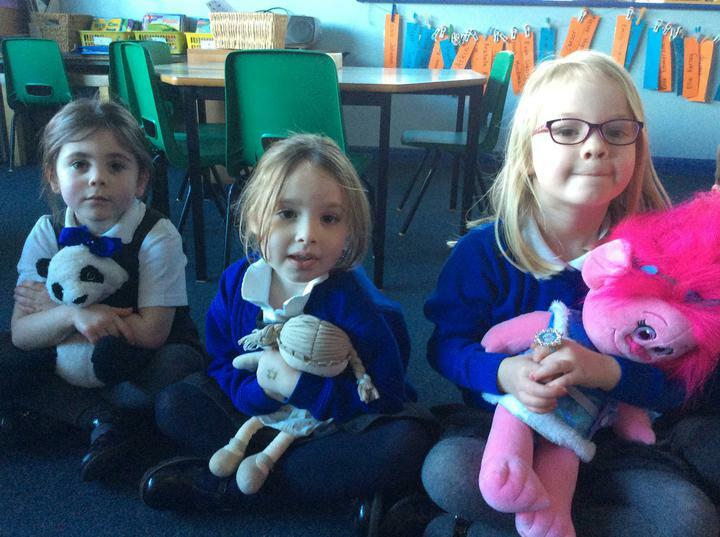 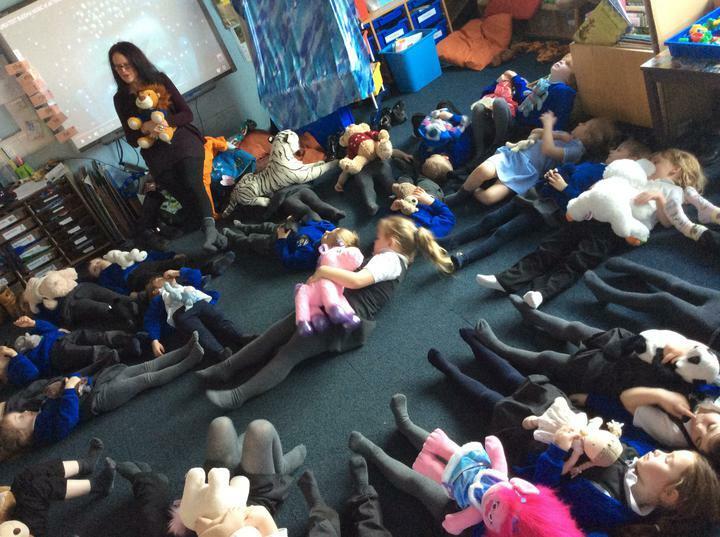 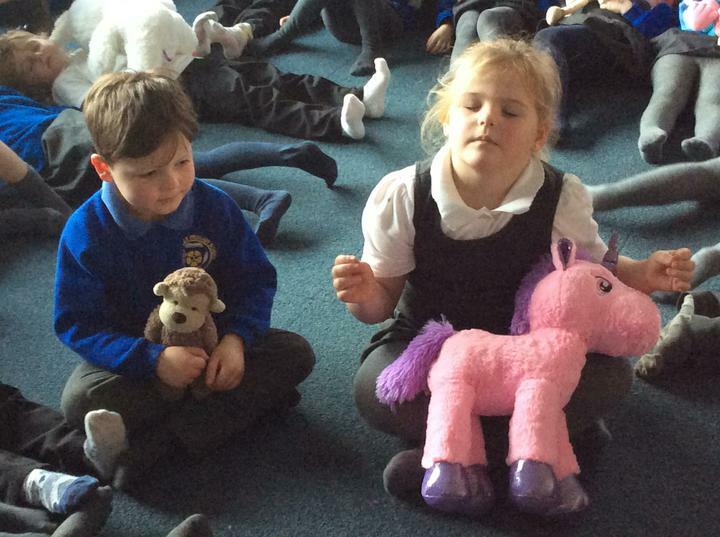 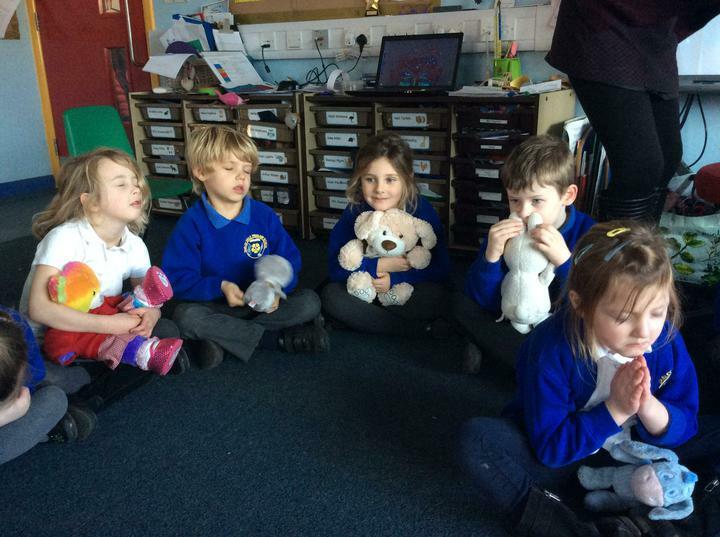 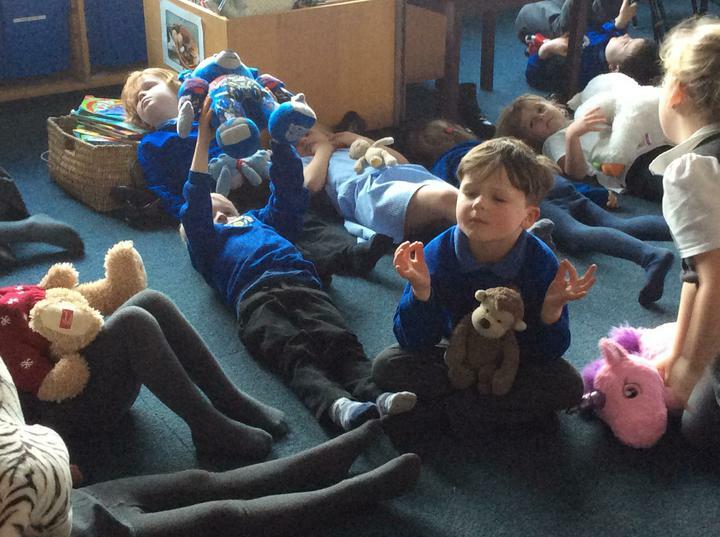 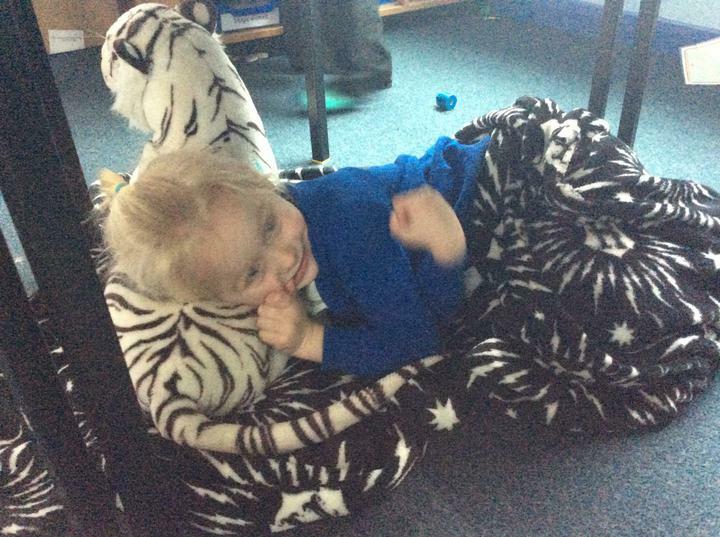 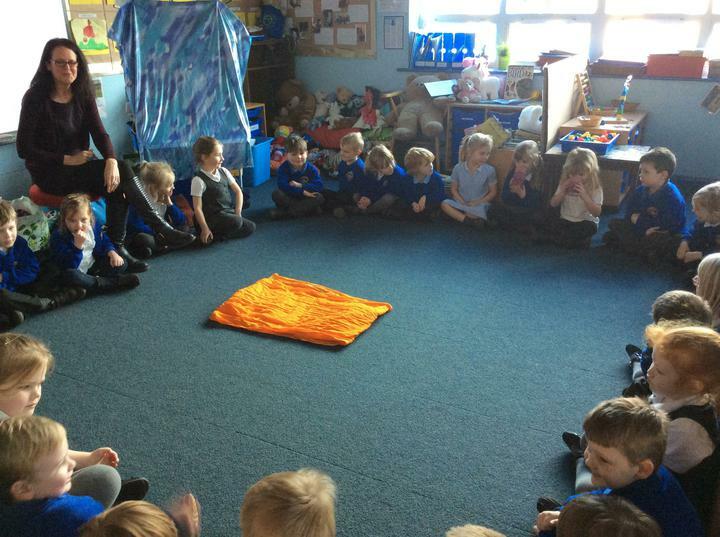 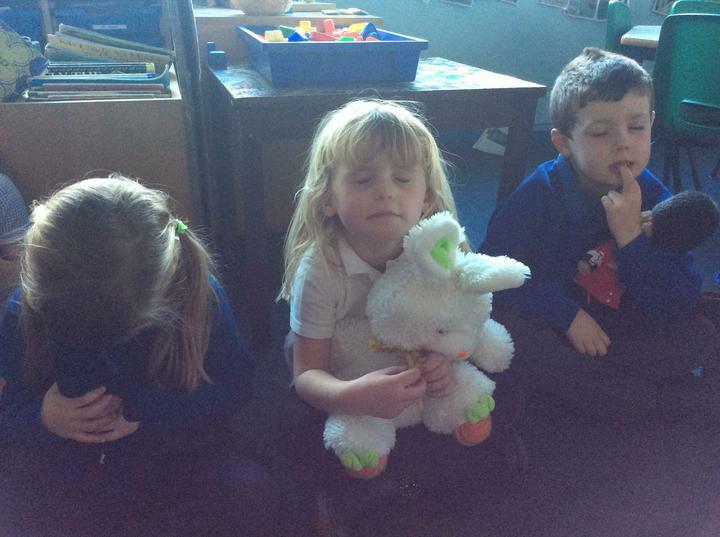 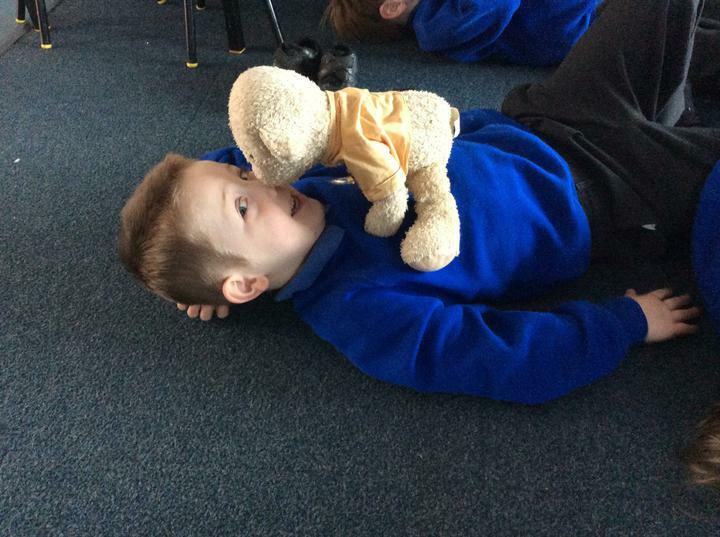 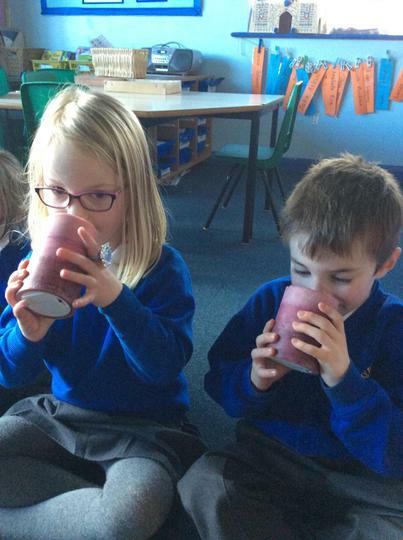 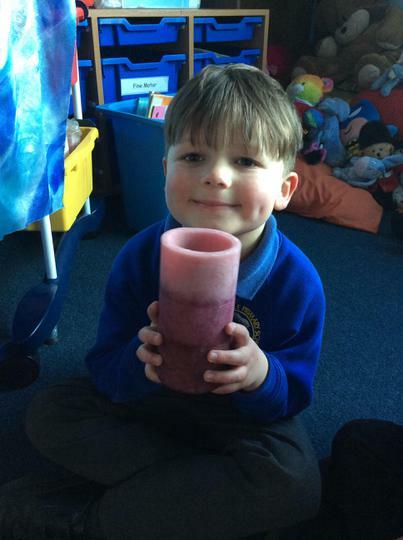 The Reception class had a Danish Hygge afternoon - with their teddies! 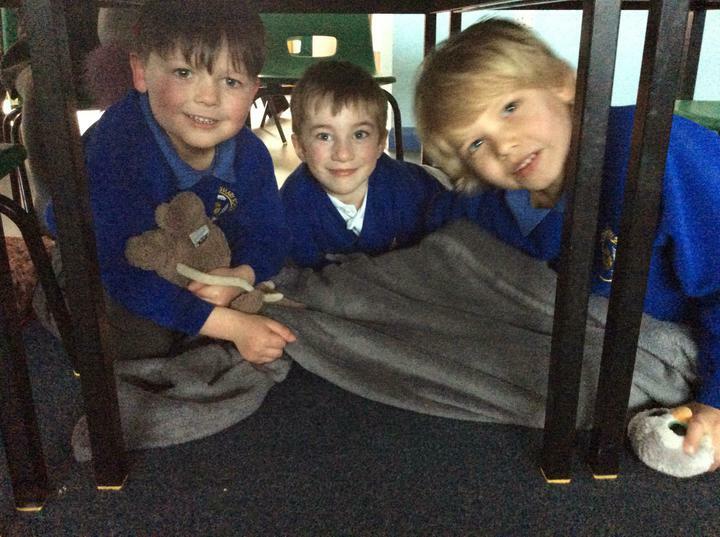 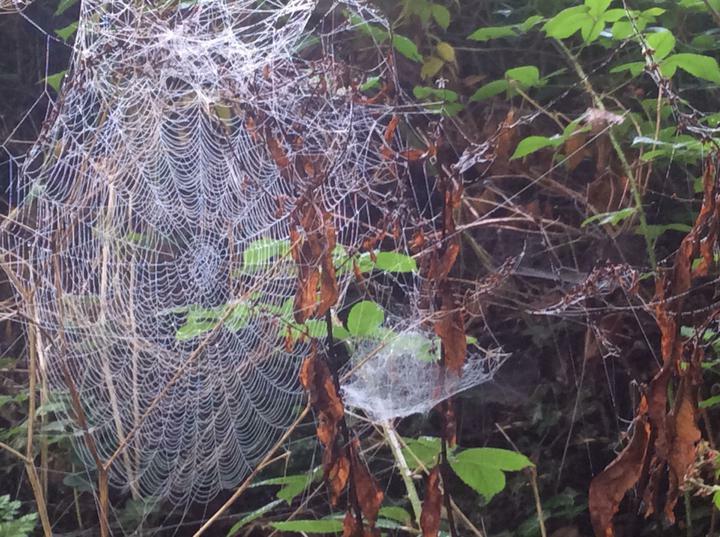 They thought about being cosy, warm, safe and happy together. 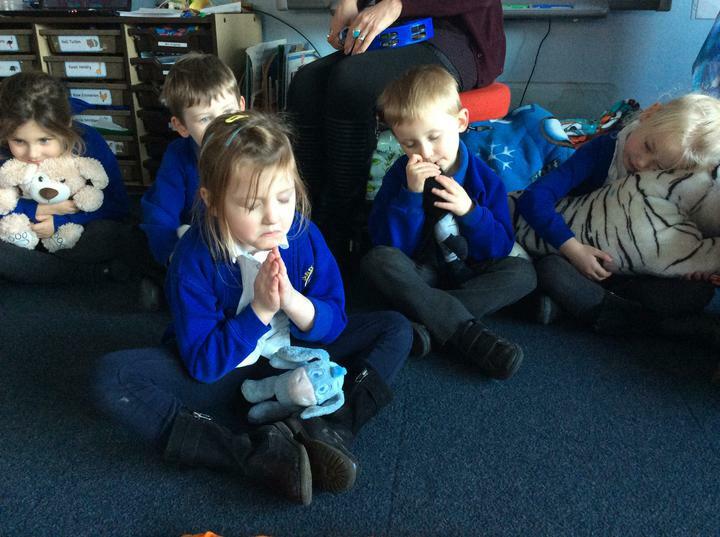 They looked at some candles and even tried meditating! 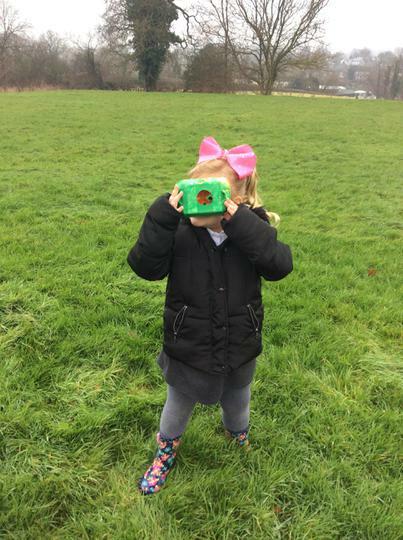 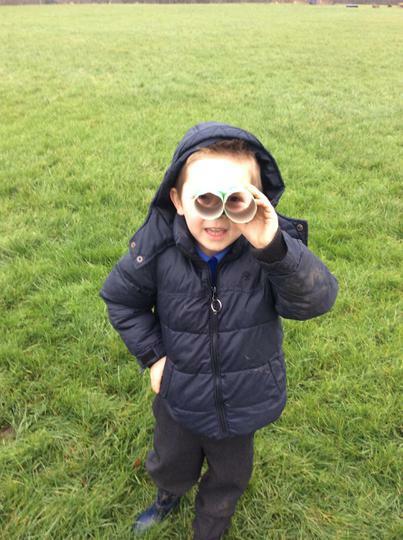 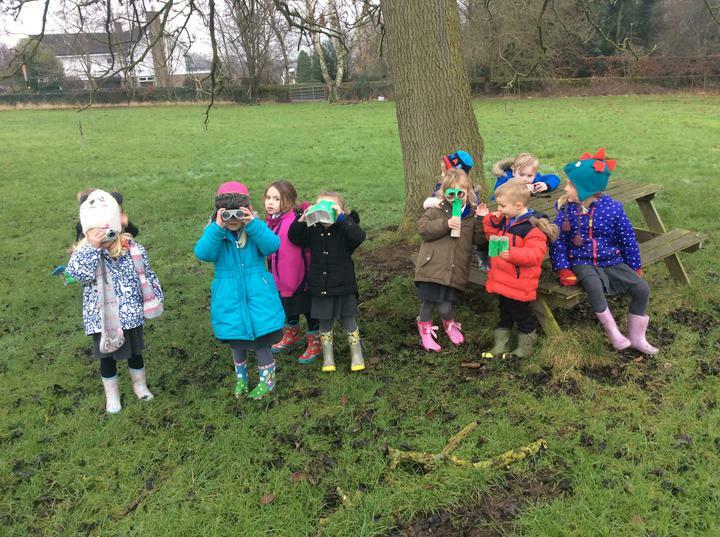 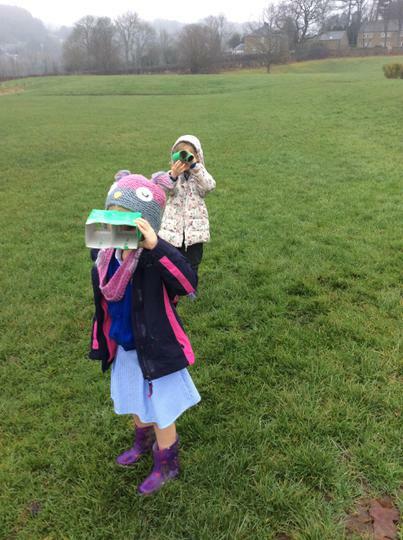 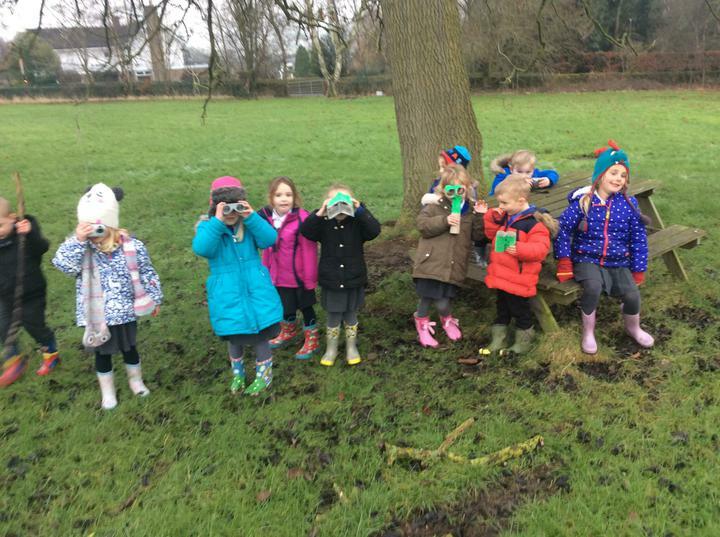 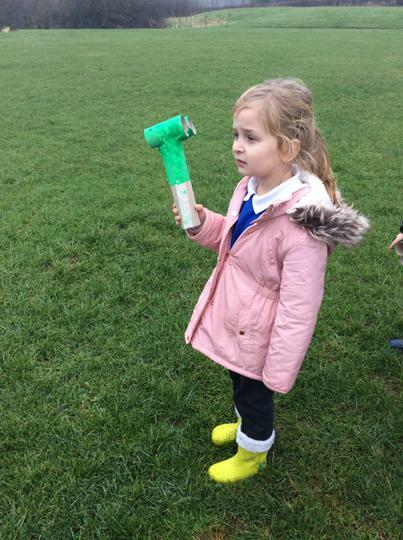 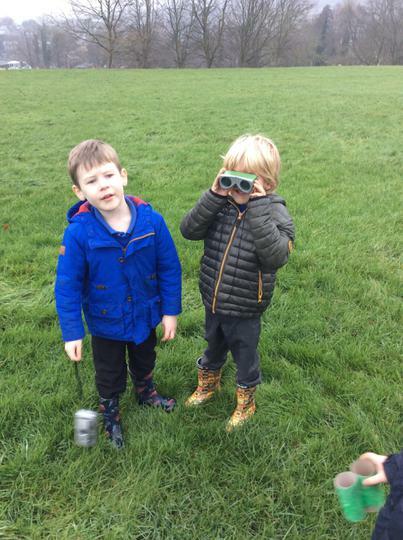 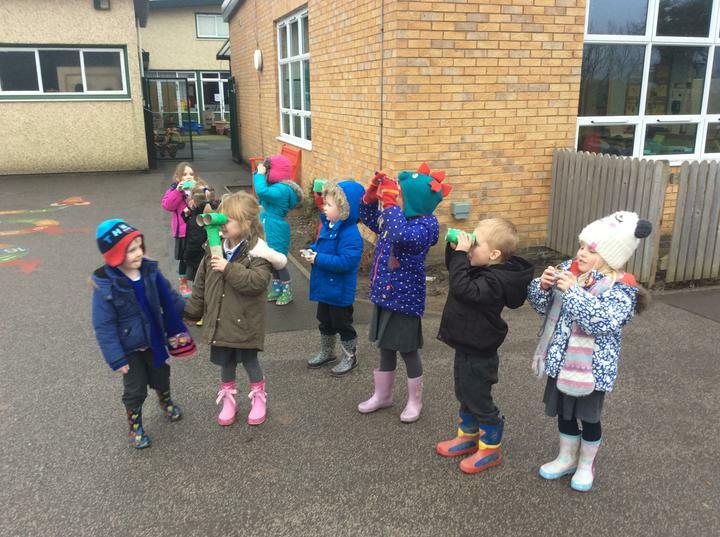 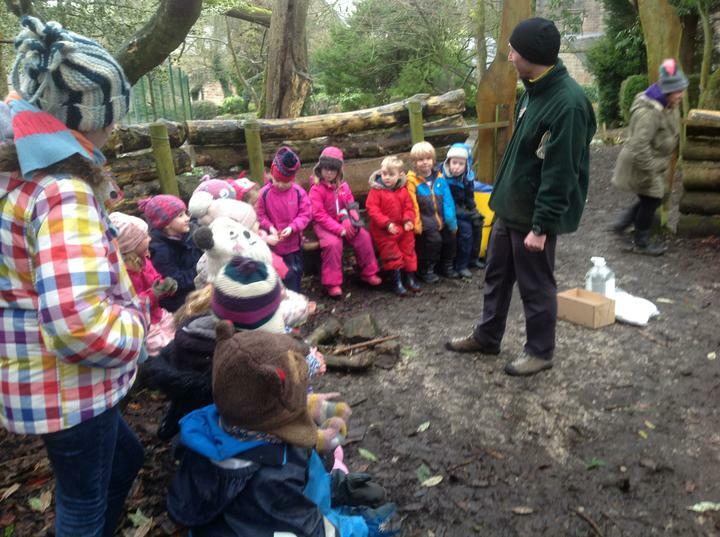 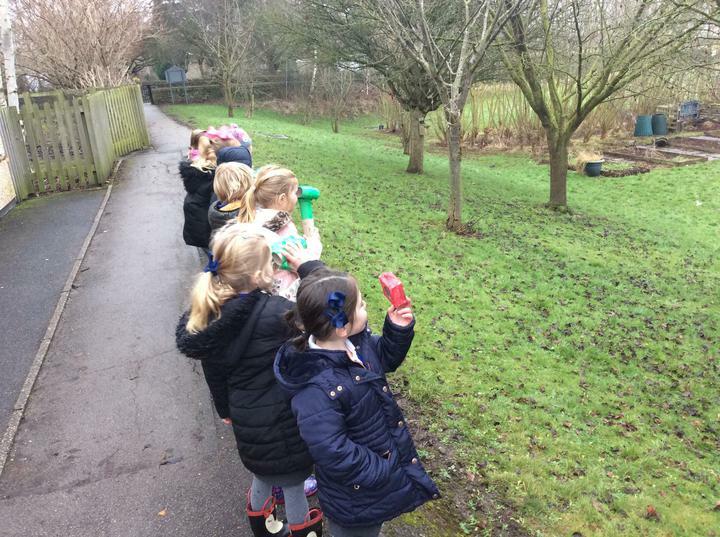 We went bird spotting and made some bird feeders. 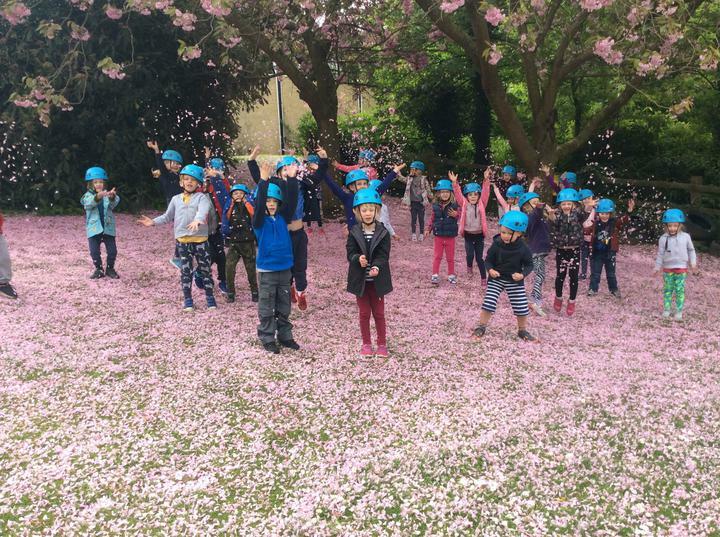 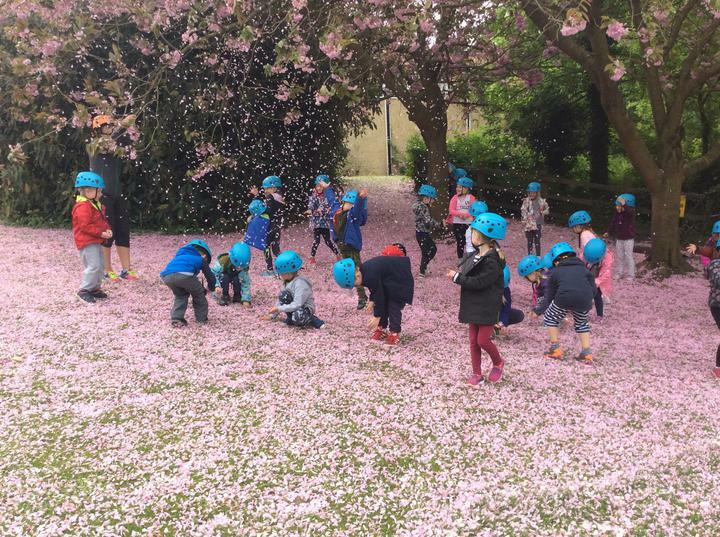 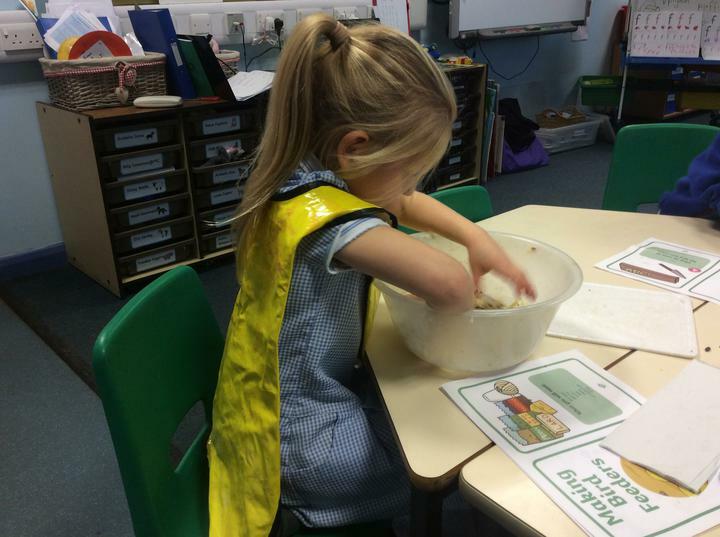 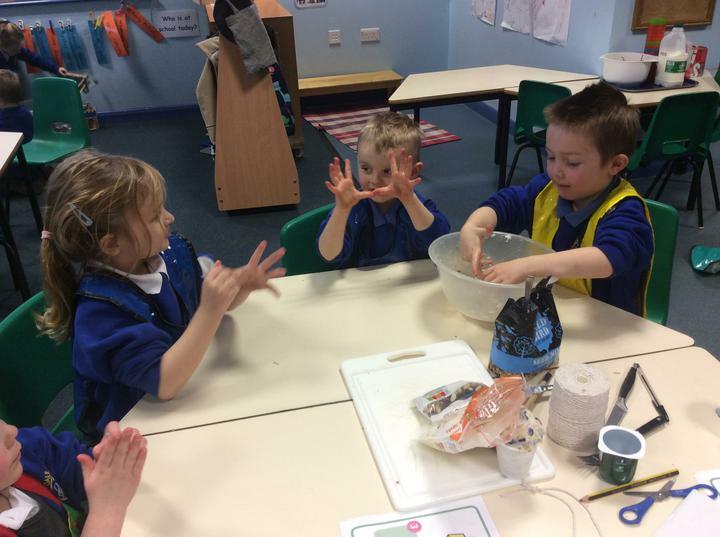 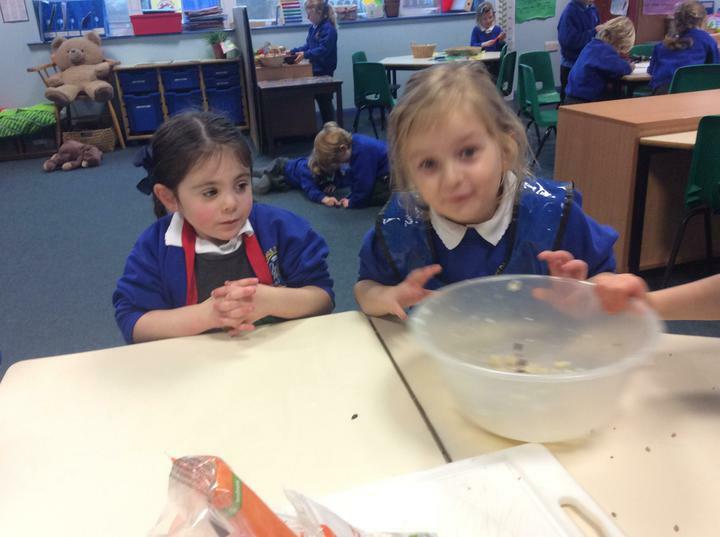 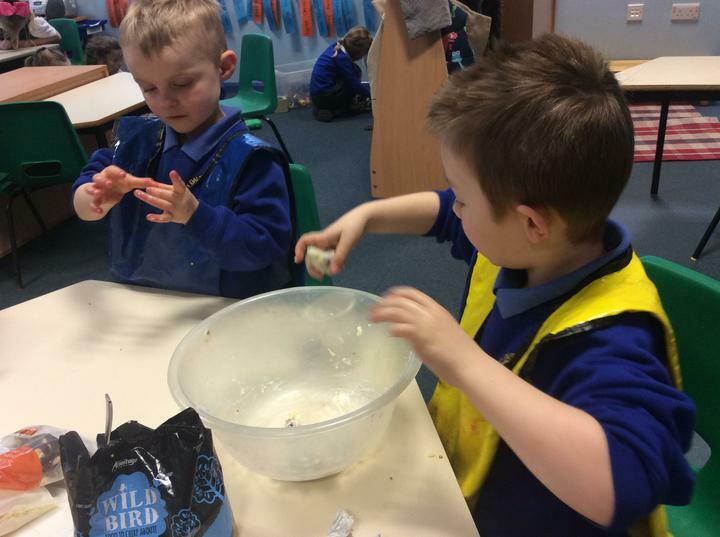 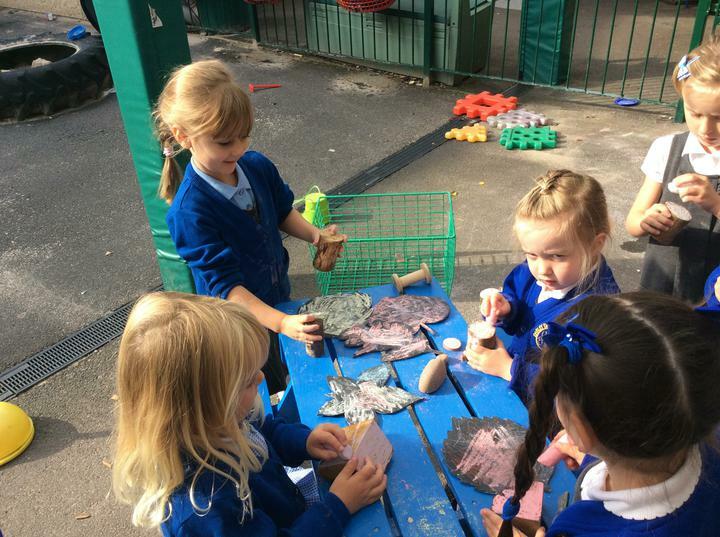 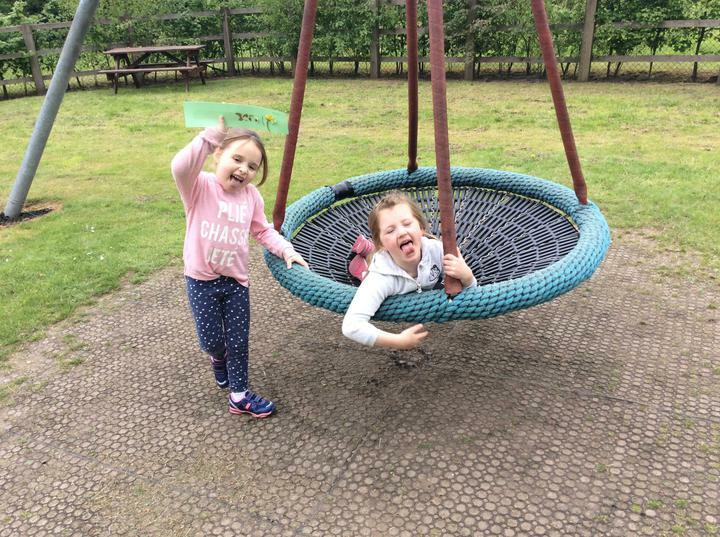 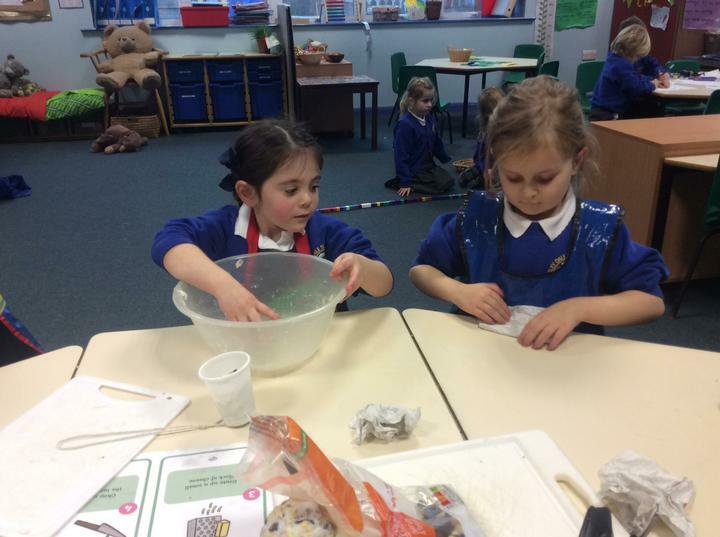 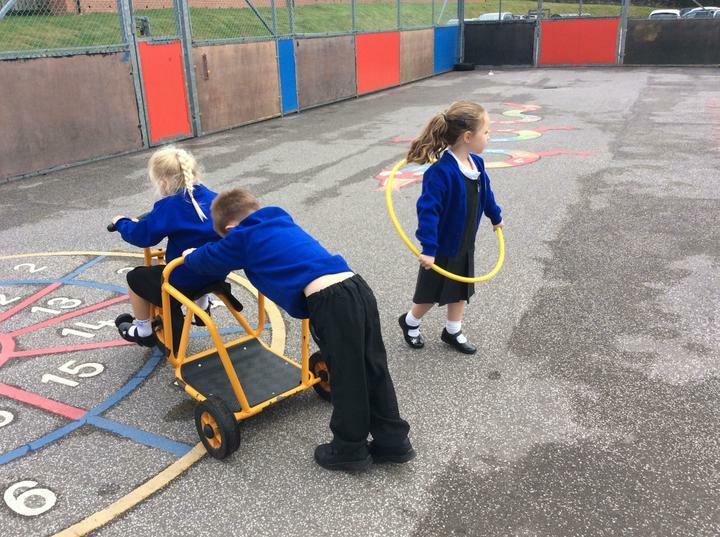 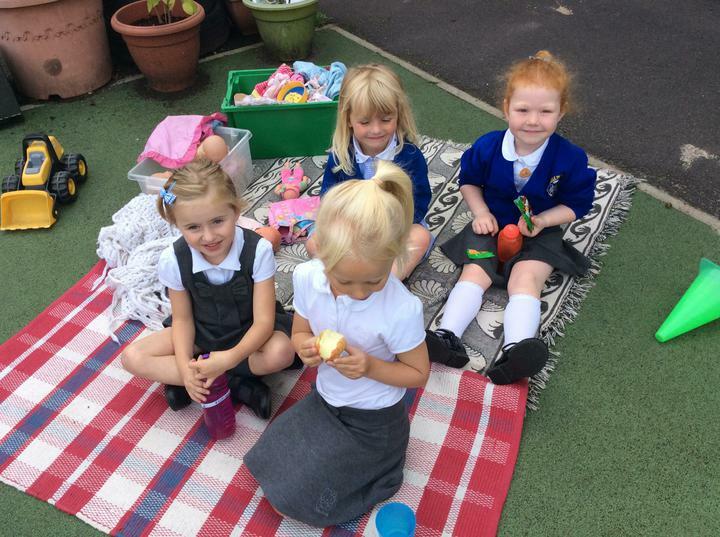 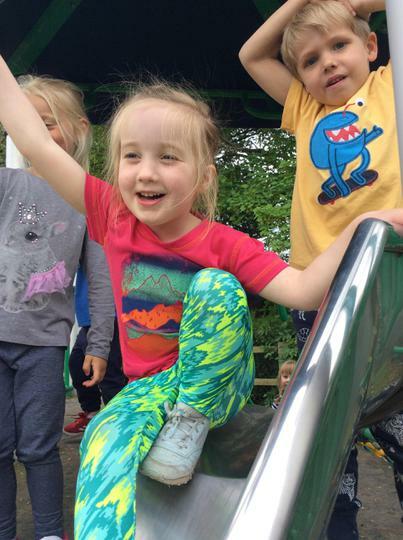 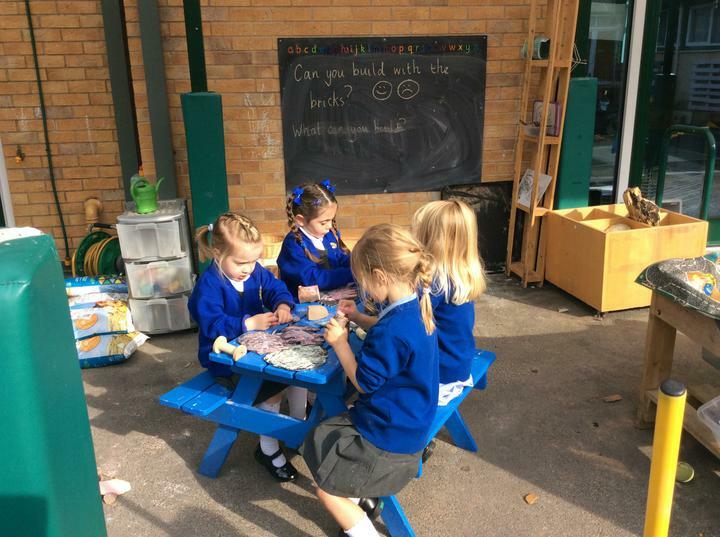 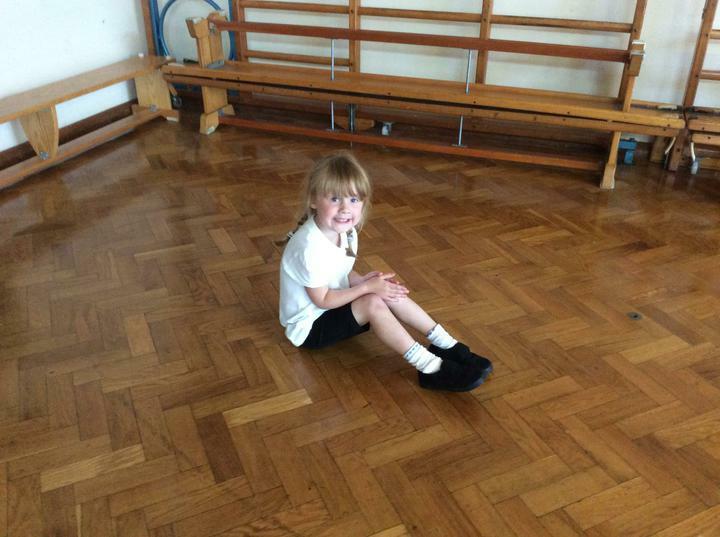 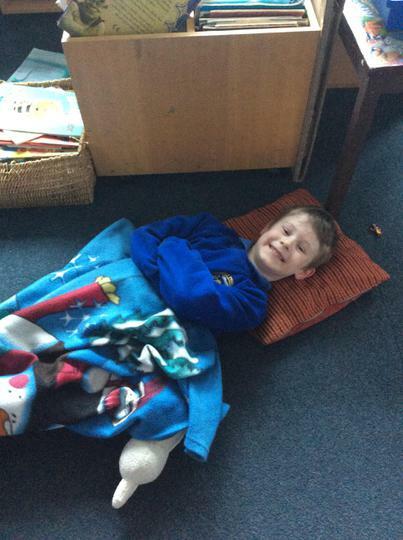 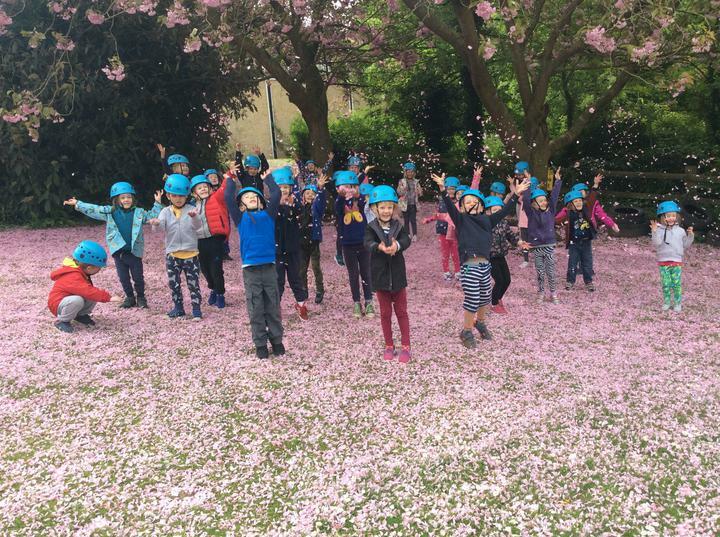 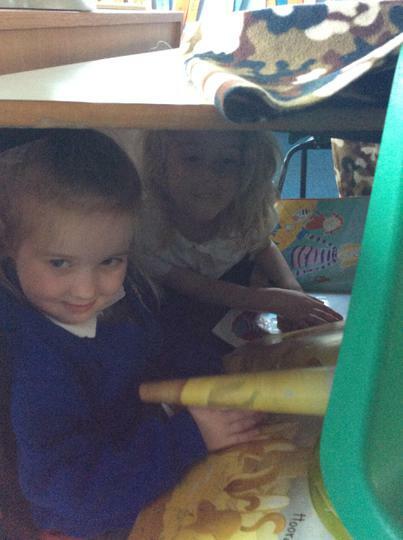 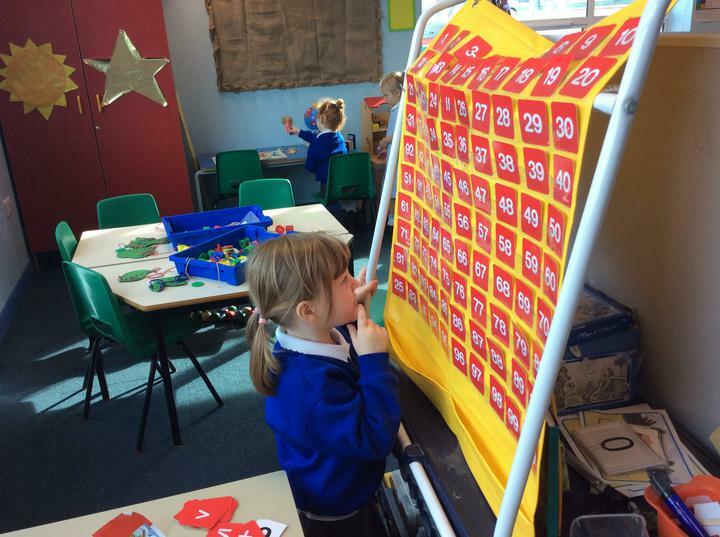 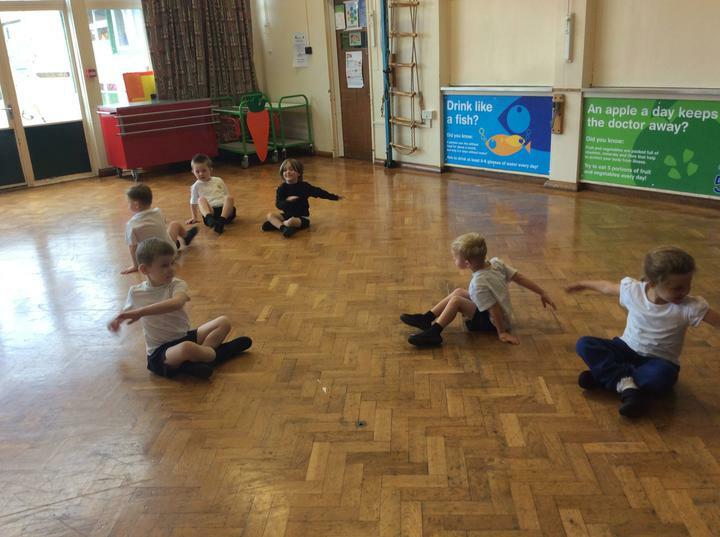 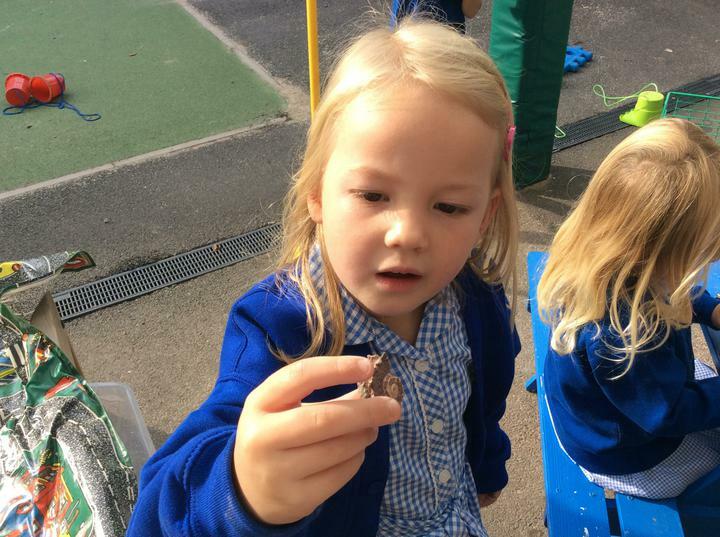 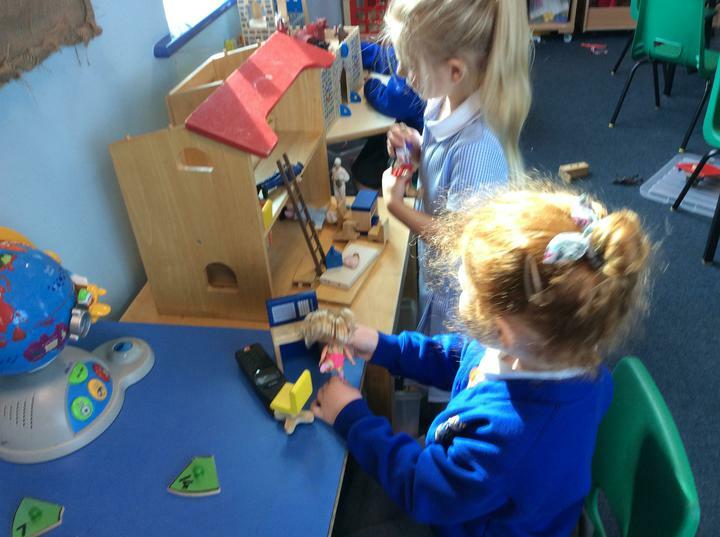 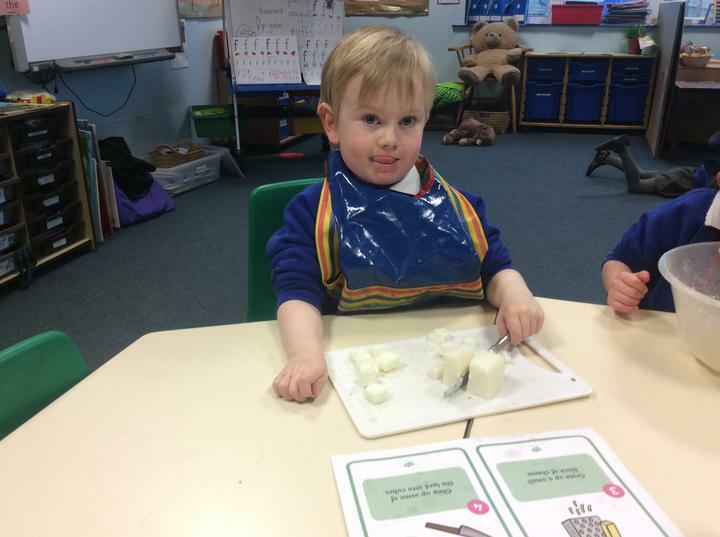 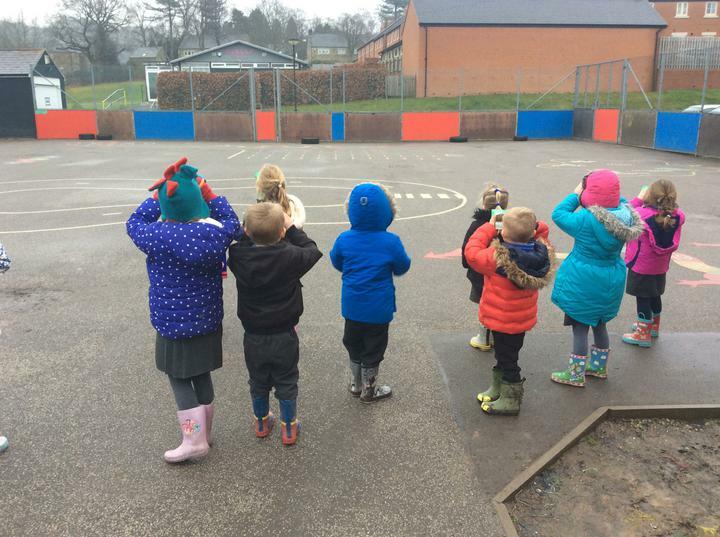 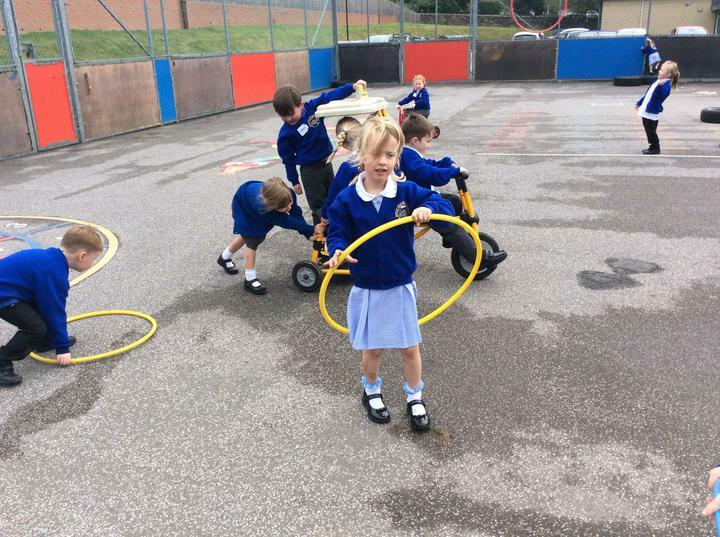 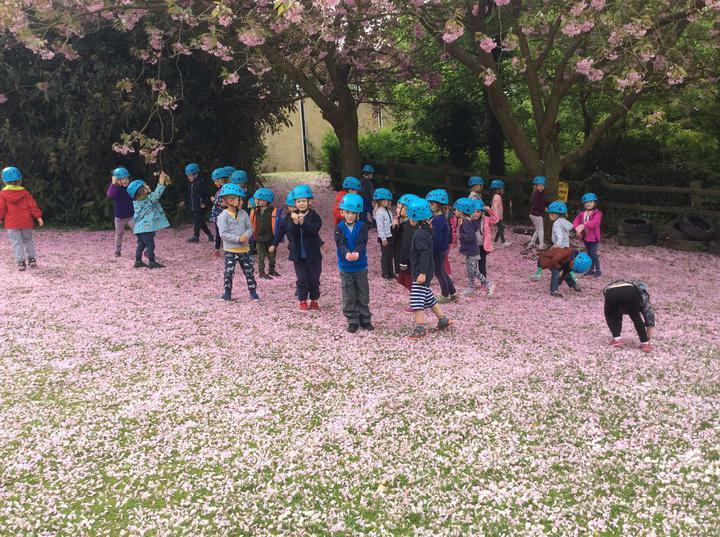 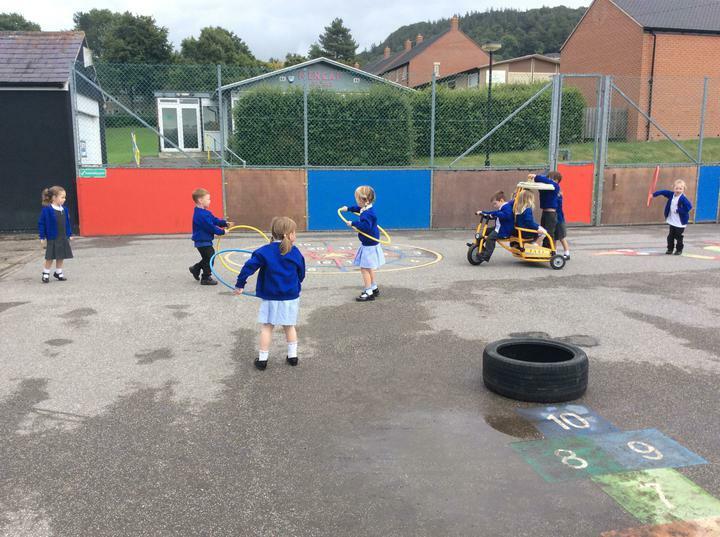 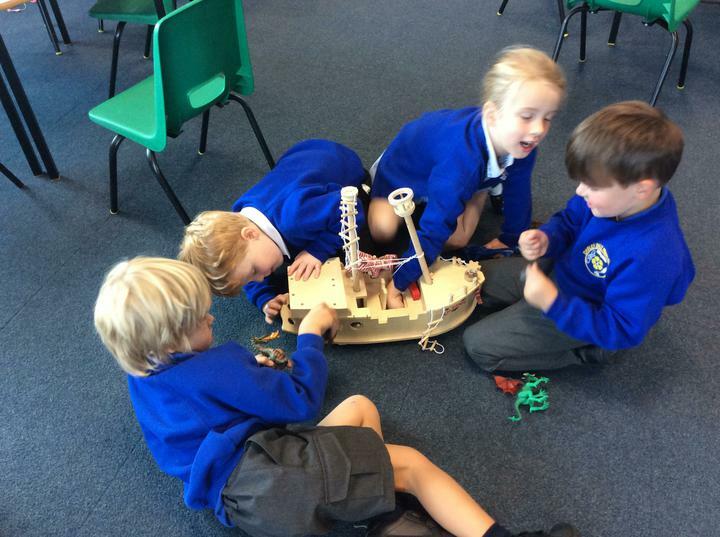 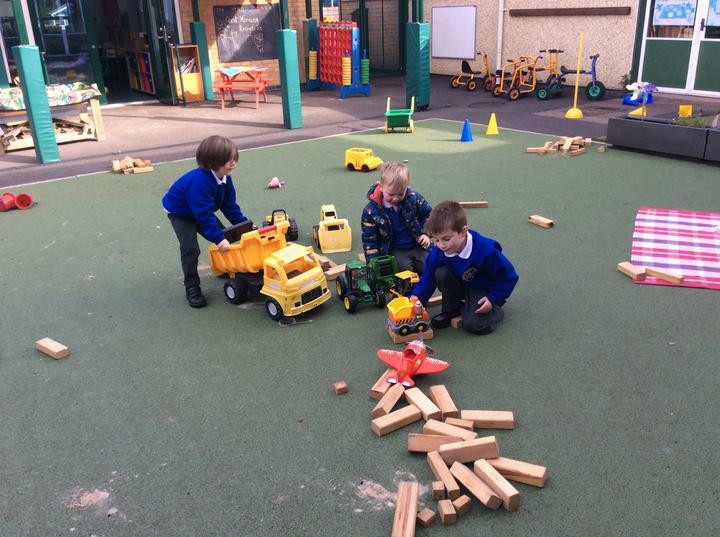 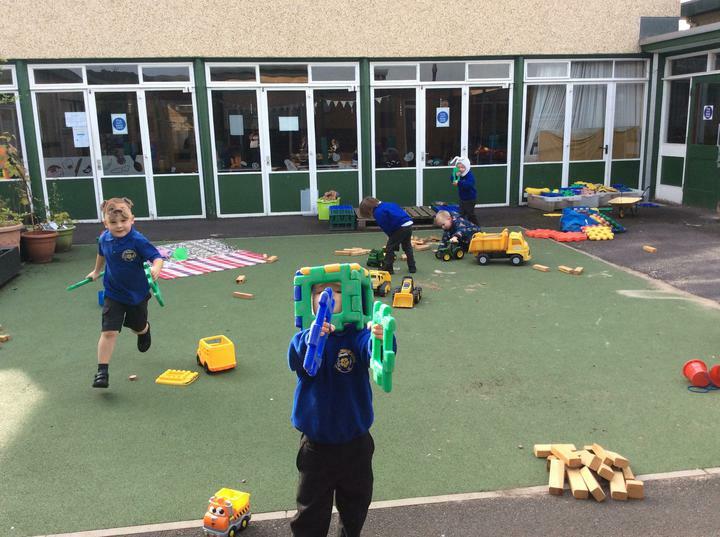 We have lots of fun at school!